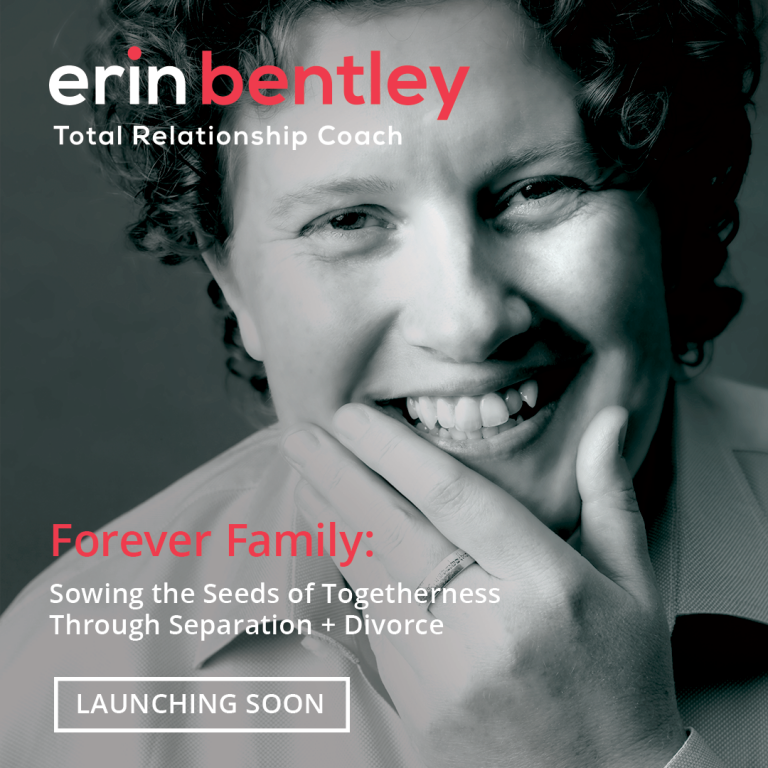 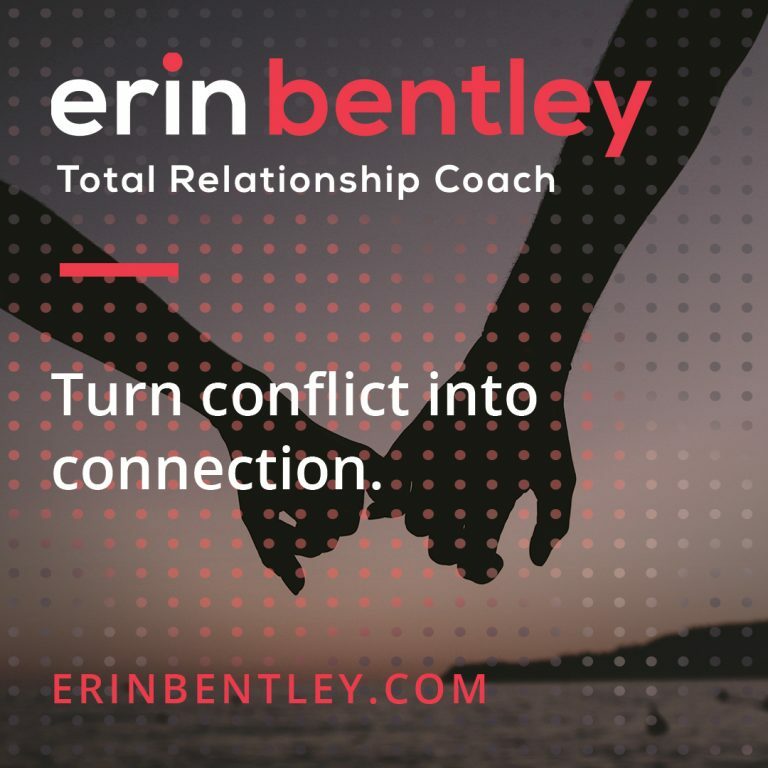 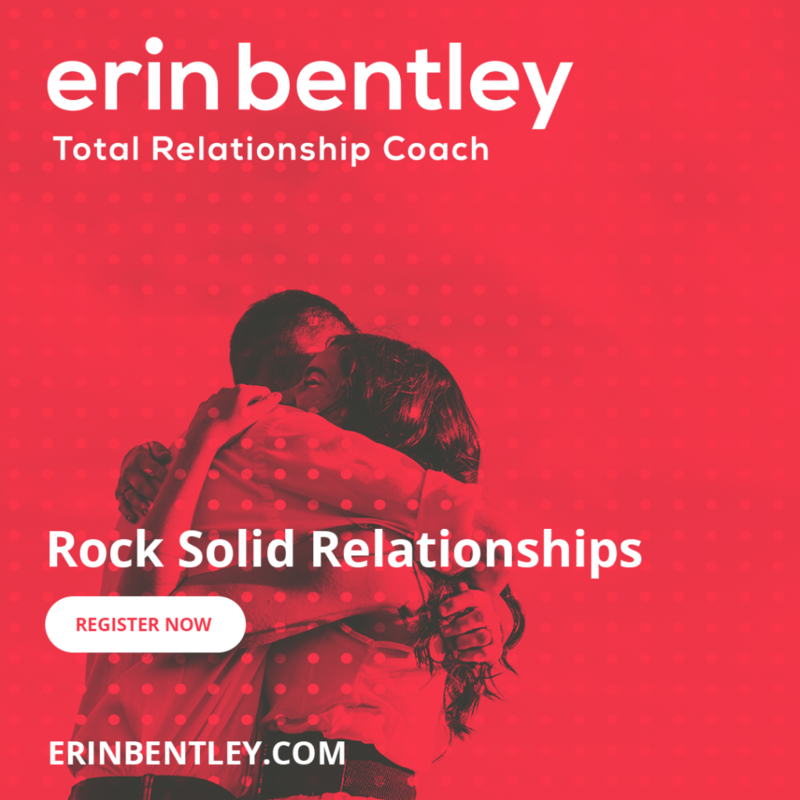 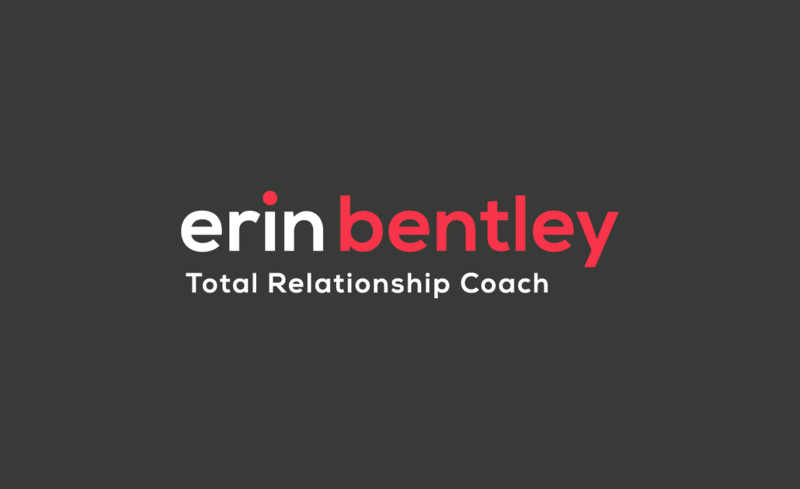 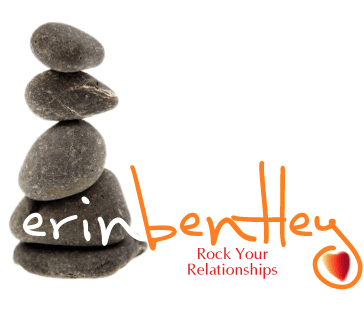 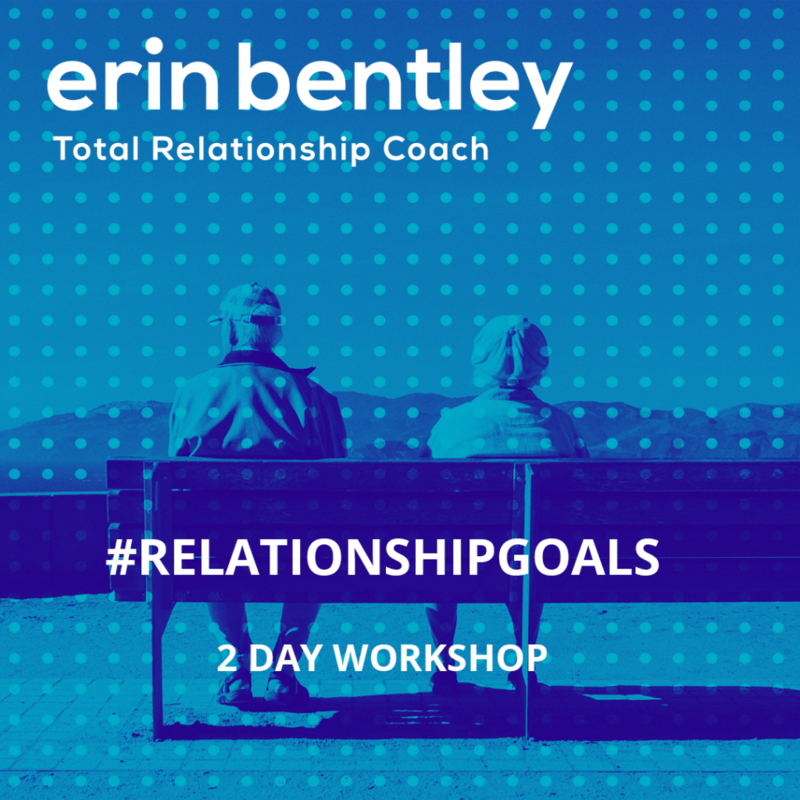 admin, Author at Blank Canvas Design Co.
Erin Bentley is a world class relationship coach, researcher and educator who was in business for 10 years without a defined brand strategy or identity. 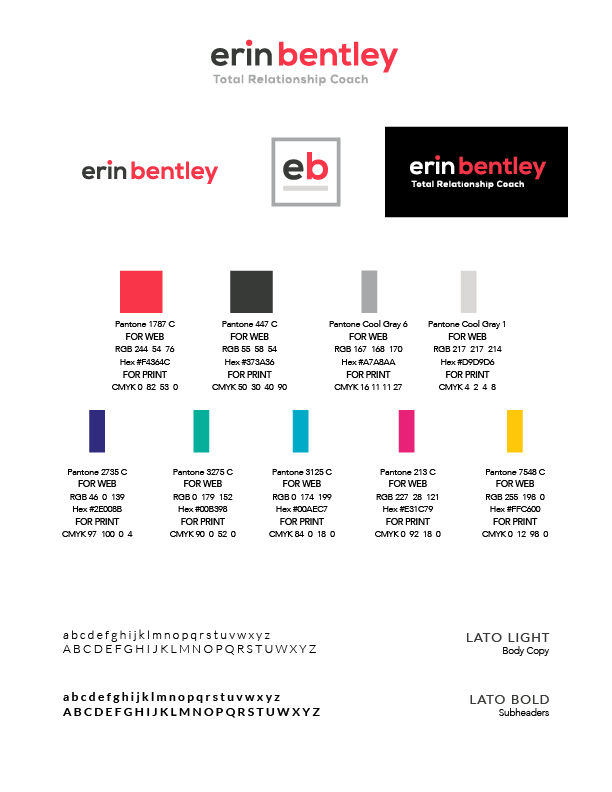 To bring her business to the next level, Erin hired us to develop her unique brand concept along with a lively, engaging identity to help her expand into multiple markets. 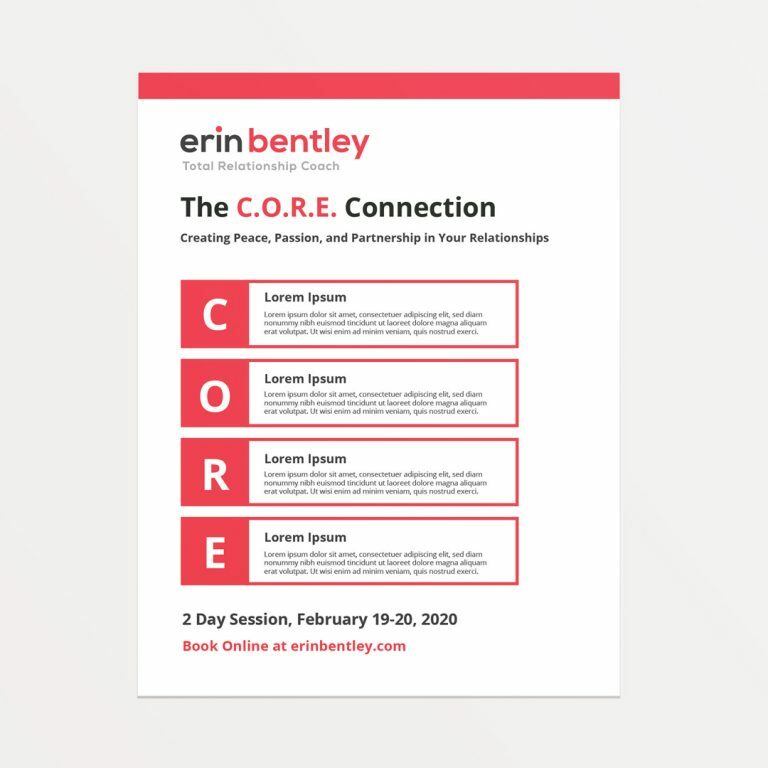 We developed a bold yet elegant logomark to express confidence and the unique energy of Erin’s approach as a coach, speaker and educator. 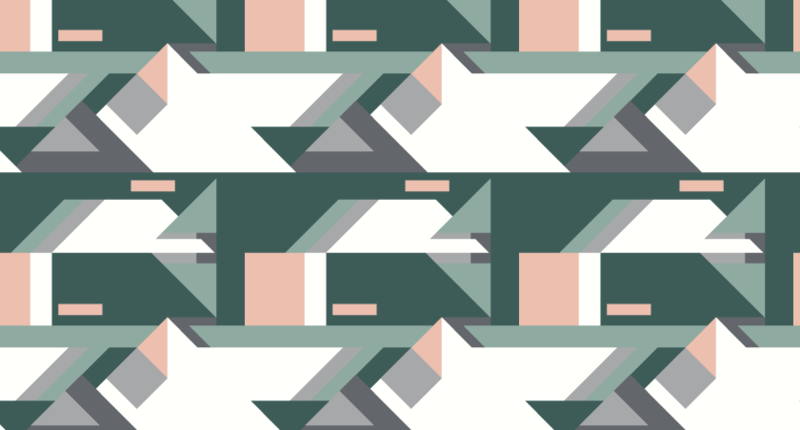 A dot motif forms the foundation of the identity, depicting sound waves reflective of Erin’s booming voice in a quiet room and the abounding impact of her work in people’s life. 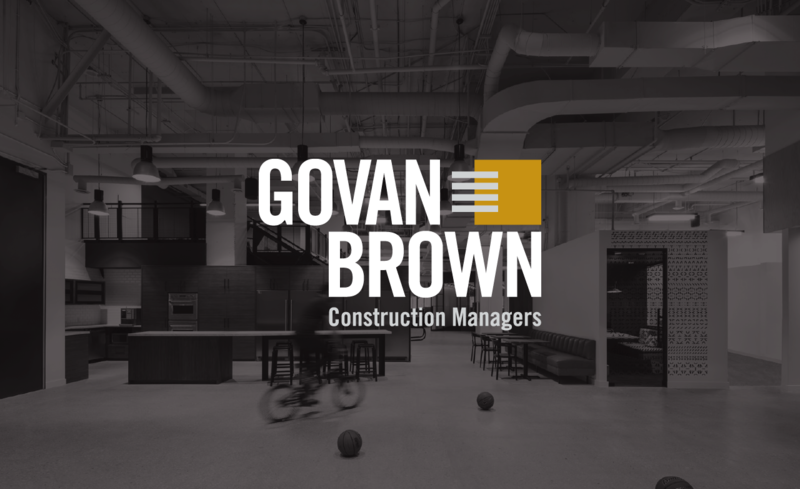 Govan Brown & Associates is a construction management firm with offices across Canada. 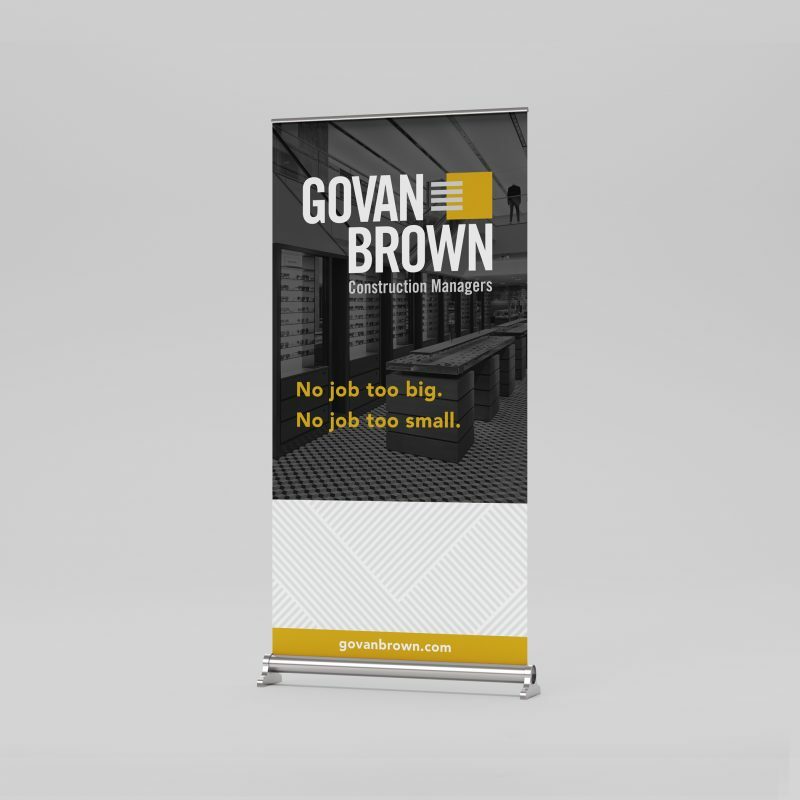 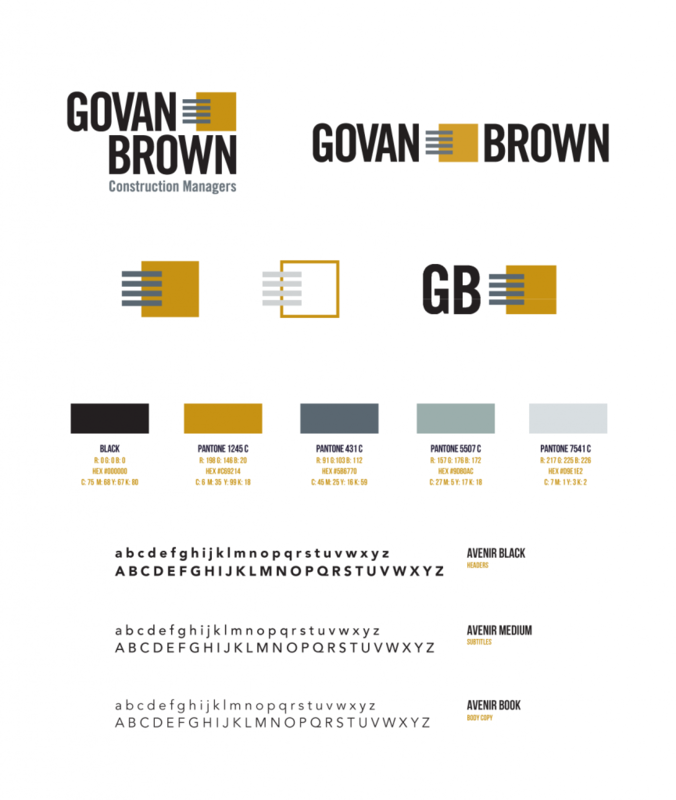 With an existing logo as its only brand asset, Govan Brown sought our assistance to help them define a brand strategy and elevate their identity as they celebrate their 25th year. 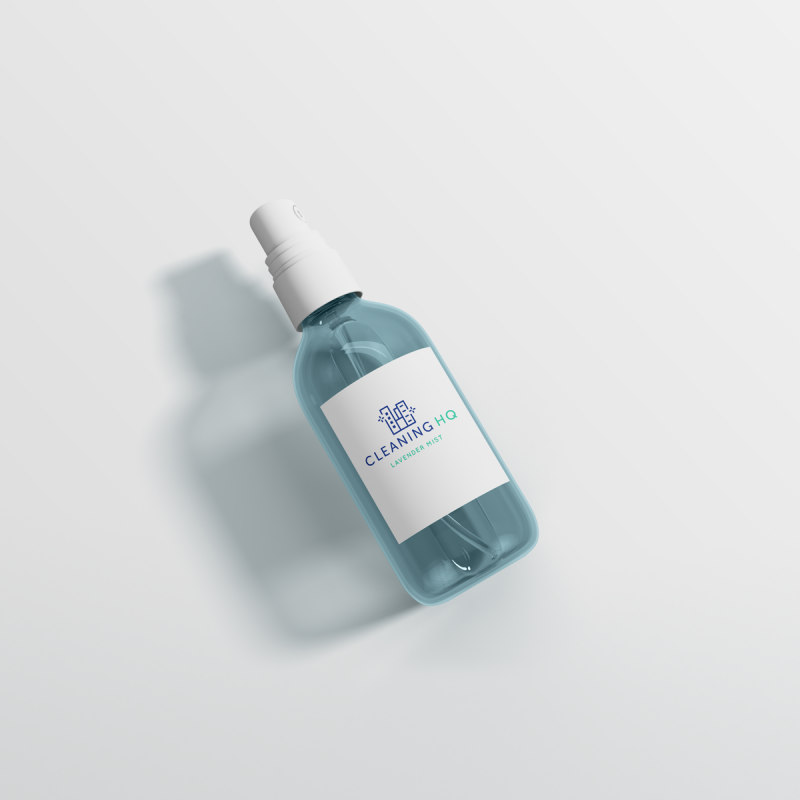 To accompany their primary logo, we developed a series of secondary logos that were elegant and more flexible for different applications. 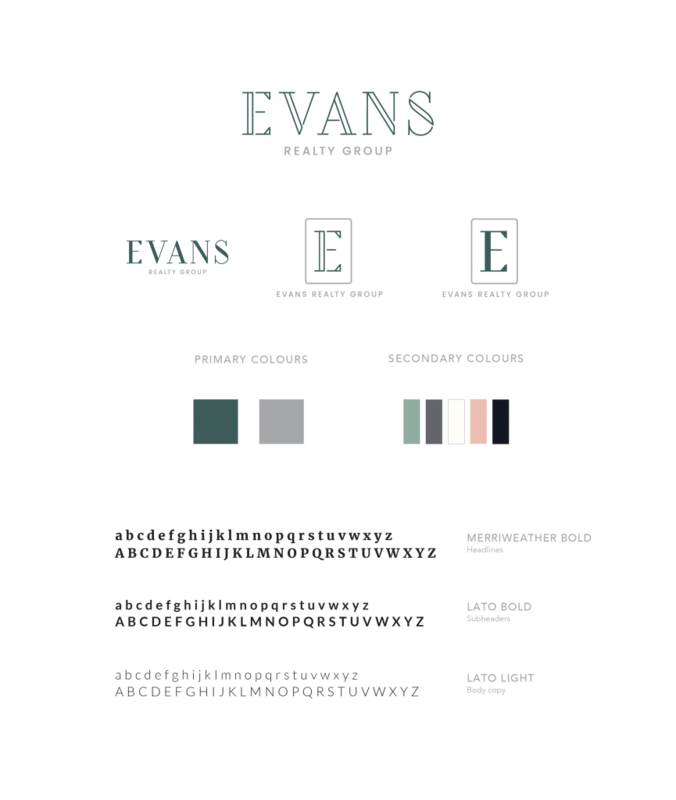 We also prepared a comprehensive style guide with typography guidelines, an expanded colour palette, custom icon set and brand patterns. 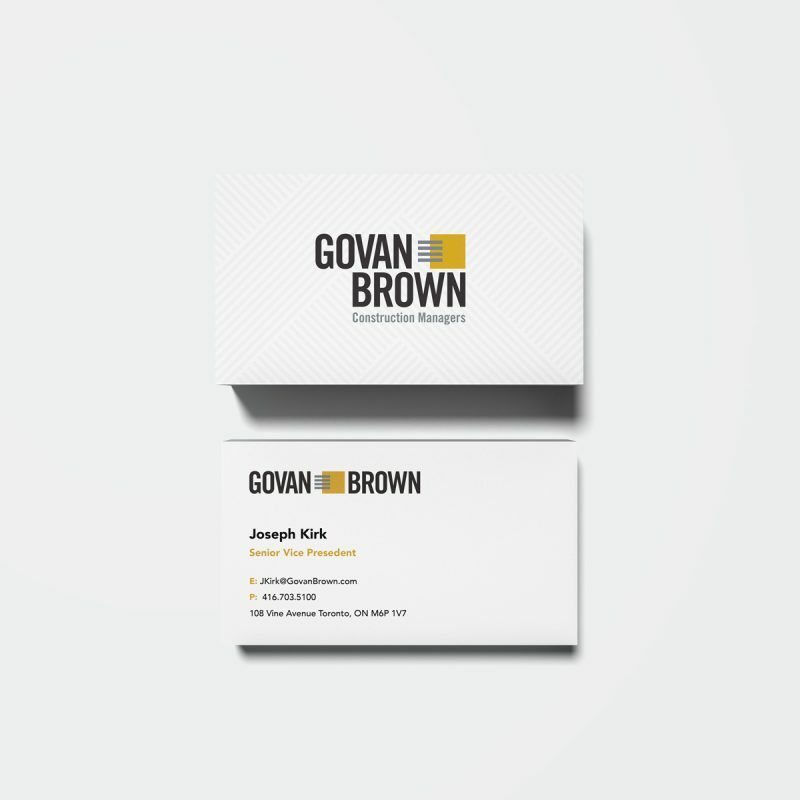 To launch this new polished identity, we designed a full suite of stationery and collateral to enable Govan Brown to strengthen their brand and increase market share across Canada. 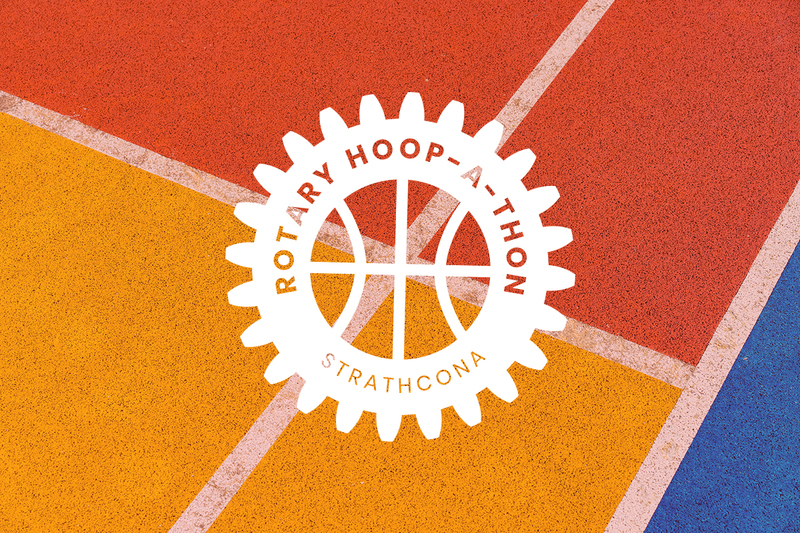 The Strathcona ROTARY Hoop-A-Thon is an annual basketball fundraising event that helps hundreds of kids in East Vancouver. 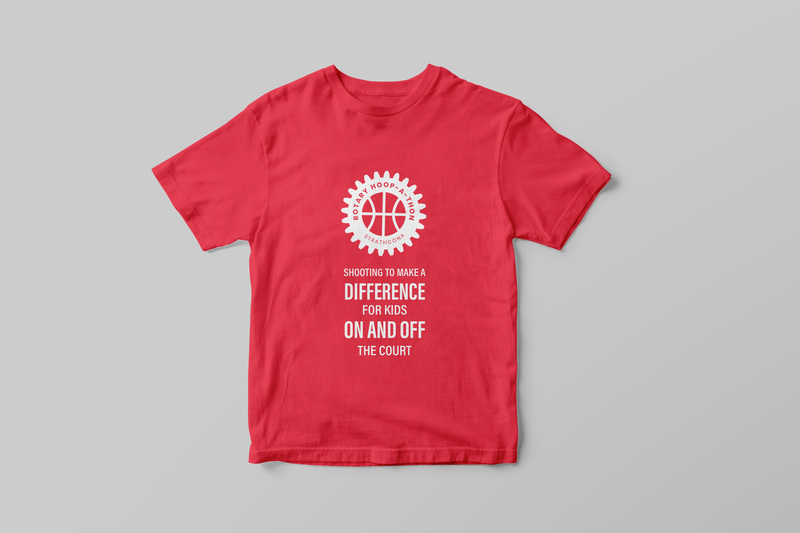 Every year, basketball players aged 10 to 18 are joined by Rotarians, alumni and VIPs who have collected pledges to shoot free throws - earning money for the program. 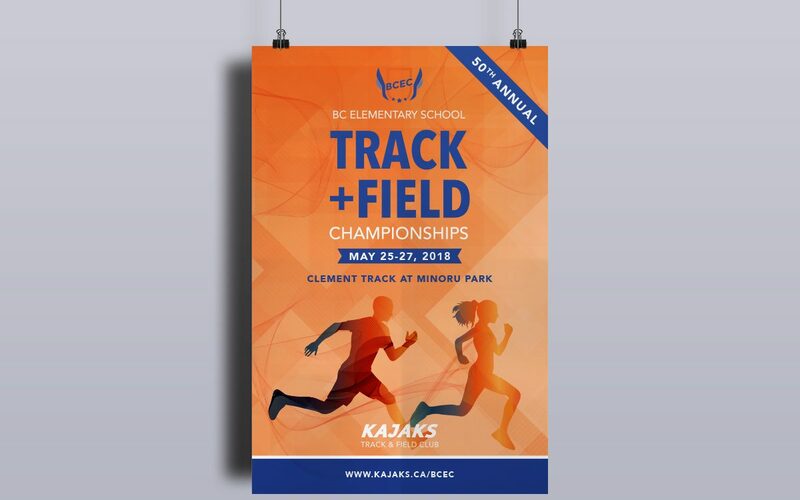 We developed a brand identity to use for promoting the event in the community. 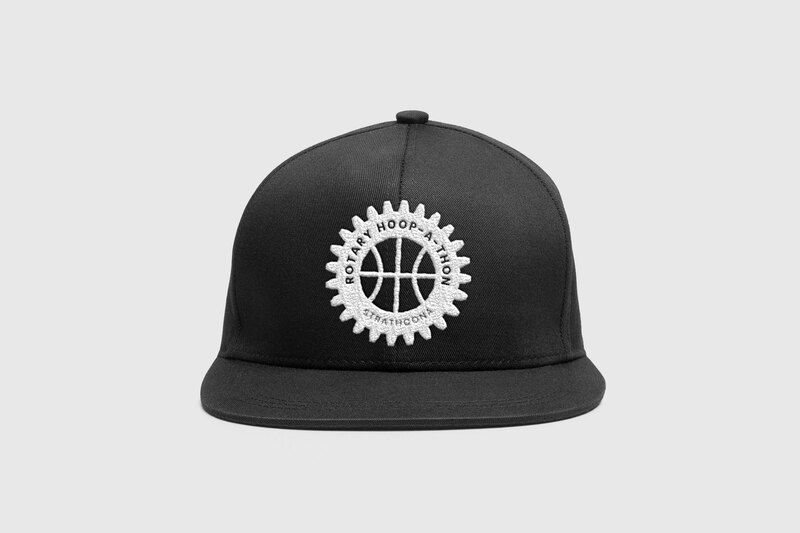 The logo design features the historic Rotary wheel combined with the shape of a symmetrical basketball, combining the two key elements of the event in a manner that appeals to young and adult participants and demonstrates pride in the organization and cause. 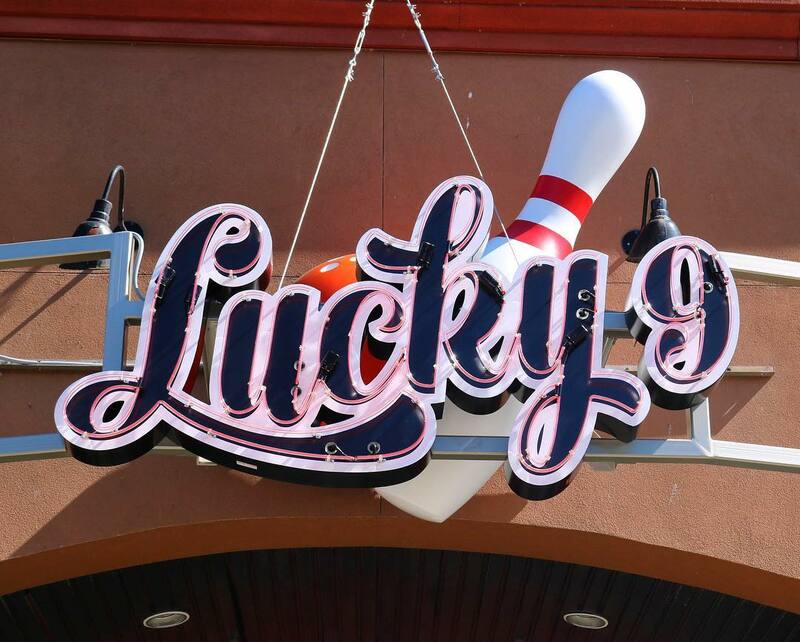 Lucky 9 Lanes is a full service bowling alley and entertainment centre in Richmond, BC. 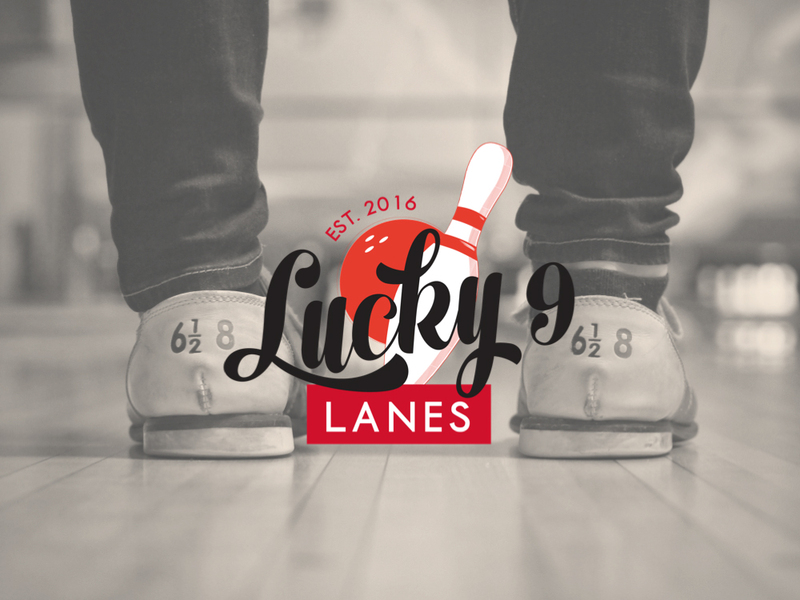 Under new ownership, the business required a new brand concept and identity to reintroduce the bowling alley as a premiere entertainment destination for all ages. 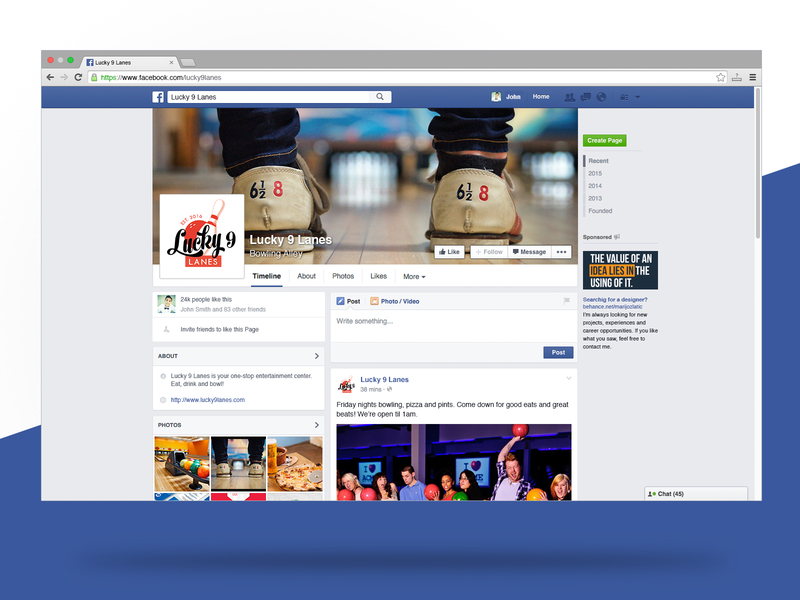 The challenge of the project was reintroducing bowling as a leisure option for the whole family, and encouraging the target audience to travel to Richmond. 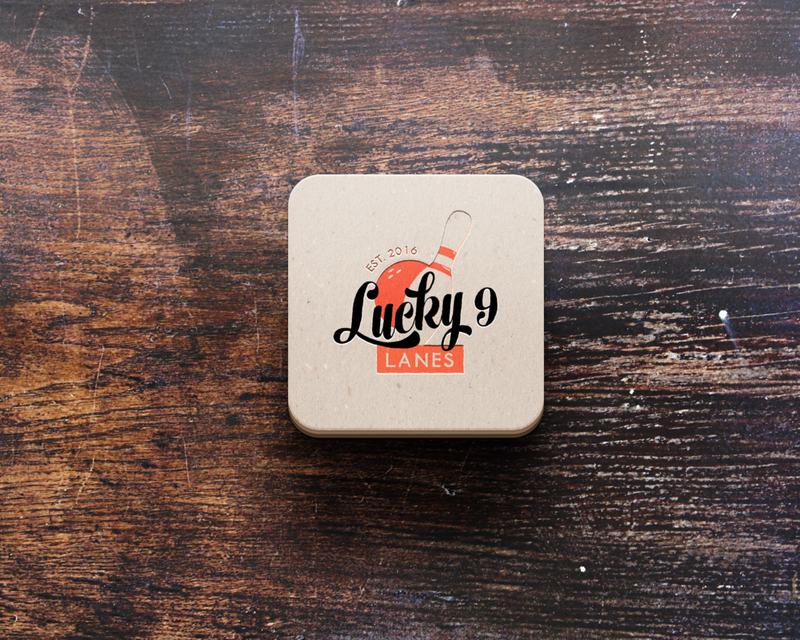 To develop the brand concept, we focused on the accessibility of bowling for all ages and skill levels, the understated energy of the sport, and the brand as a full-service entertainment destination where families can get lost for hours. 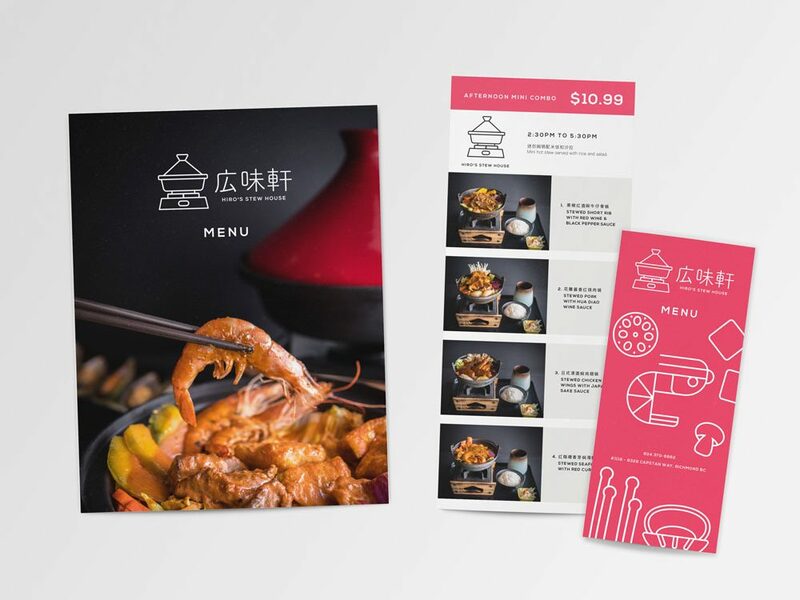 We performed an extensive competitor analysis, discovering that there were few alternatives in the Lower Mainland with professional identities that were appealing to the target audience. 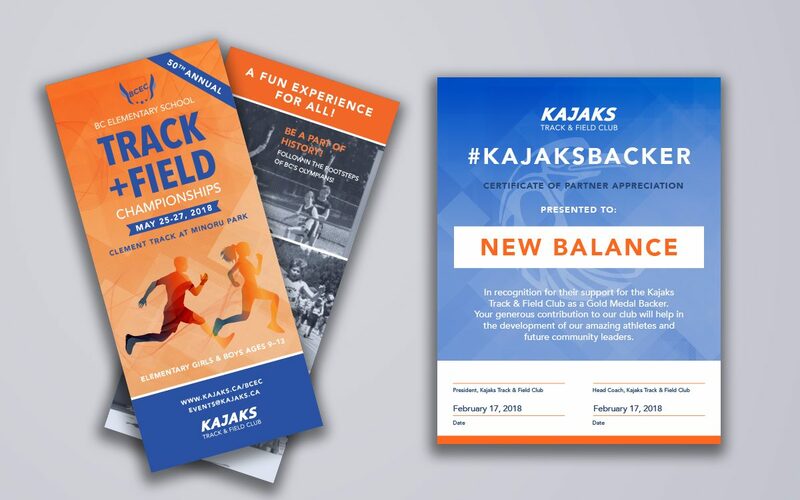 We created a unique and modern brand identity to introduce the brand as a fresh take on a traditional sport. 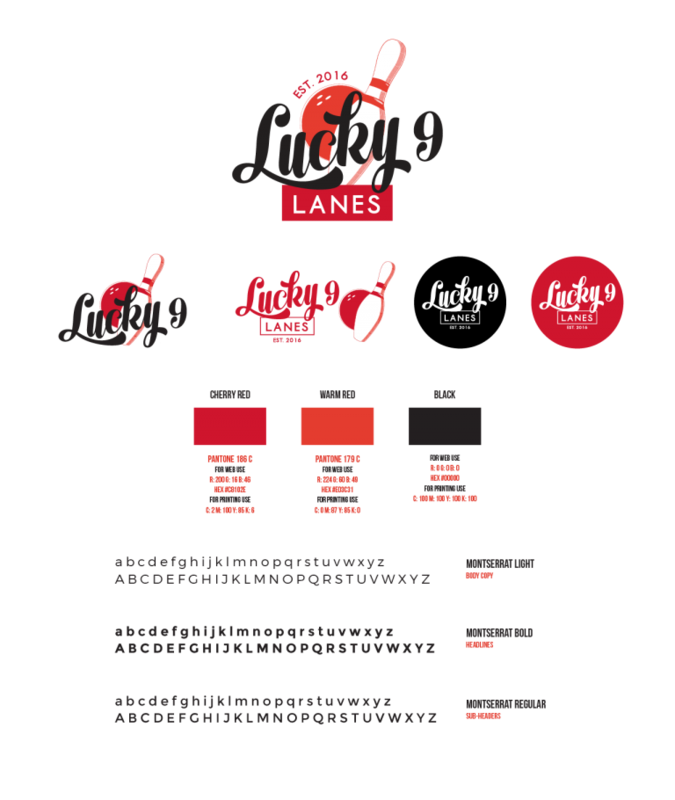 The nostalgic identity was inspired by the origins of bowling in the 1950s and bears a classic design with a slightly retro feel. 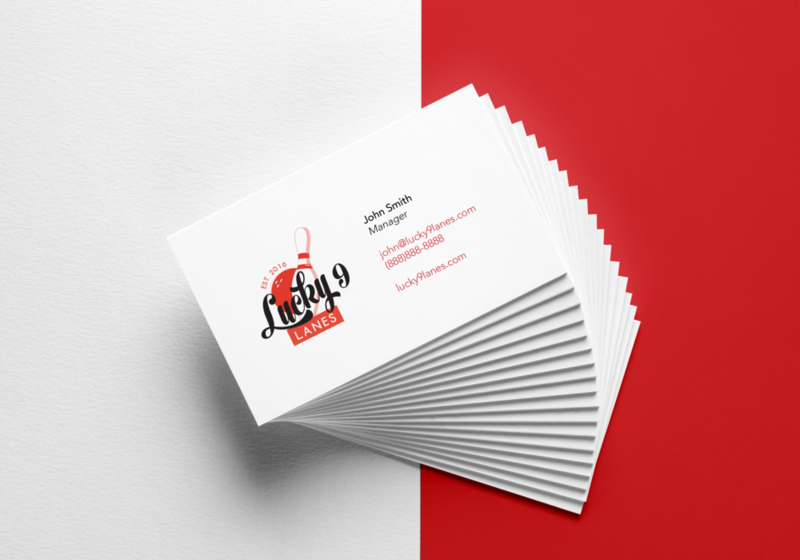 It features a custom old fashioned illustration and typeface, with a modern interpretation. 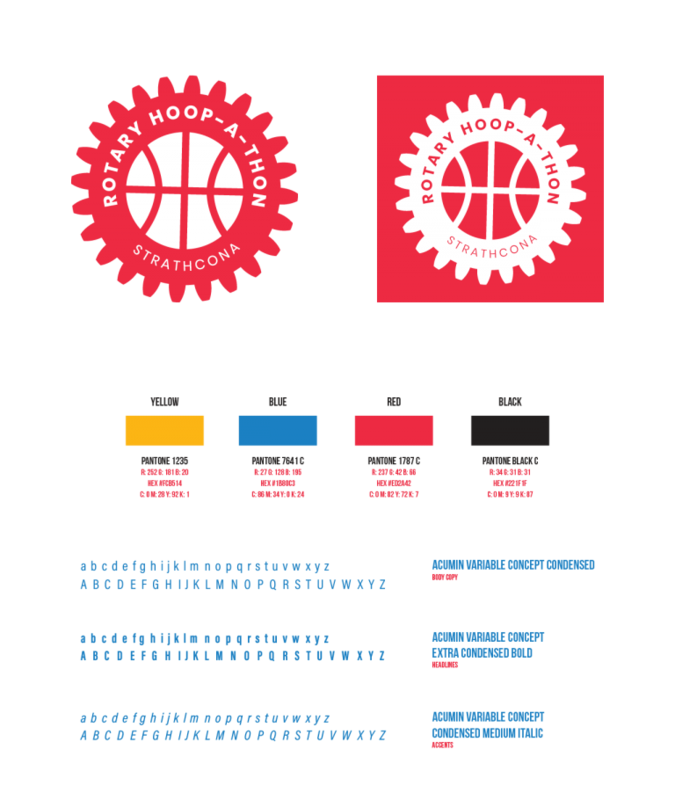 In addition to the primary logo, we developed several secondary marks to allow for flexible use in a range of applications. 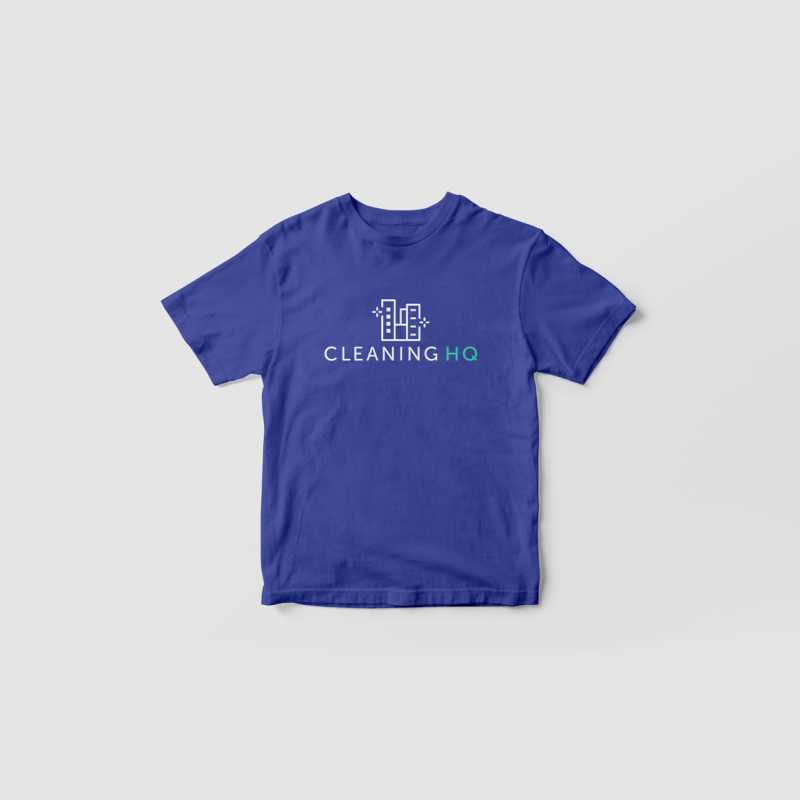 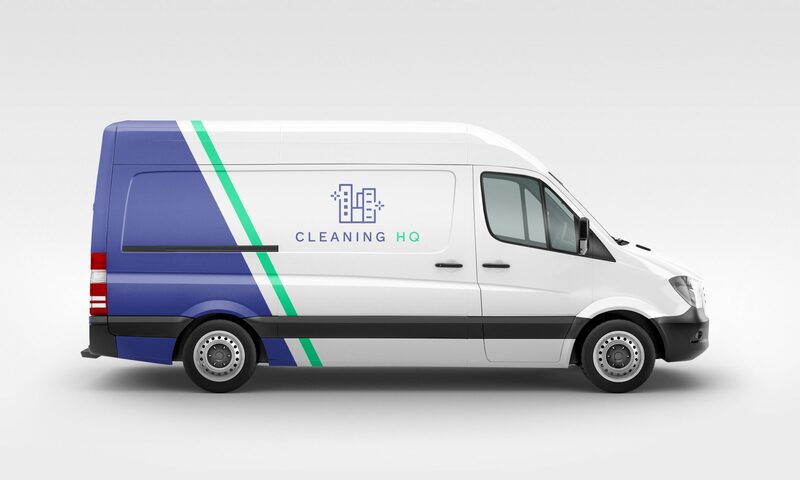 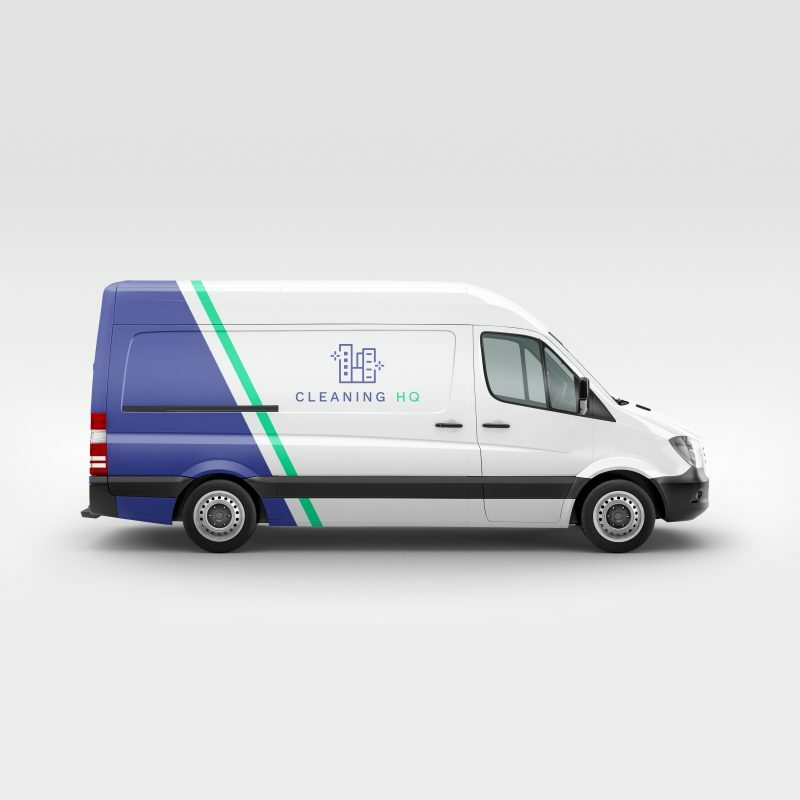 Cleaning HQ is a newly launched commercial cleaning company serving offices, strata and business spaces in the Lower Mainland. 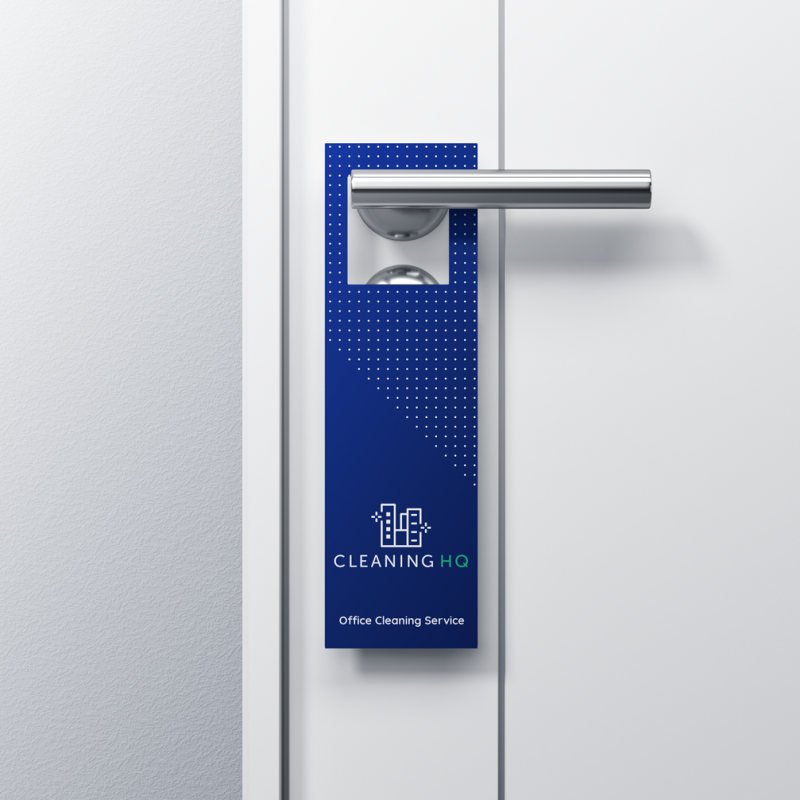 Having run a successful residential cleaning business (project here) since 2010, the company’s owner decided to launch a separate commercial arm of the business under a new brand. 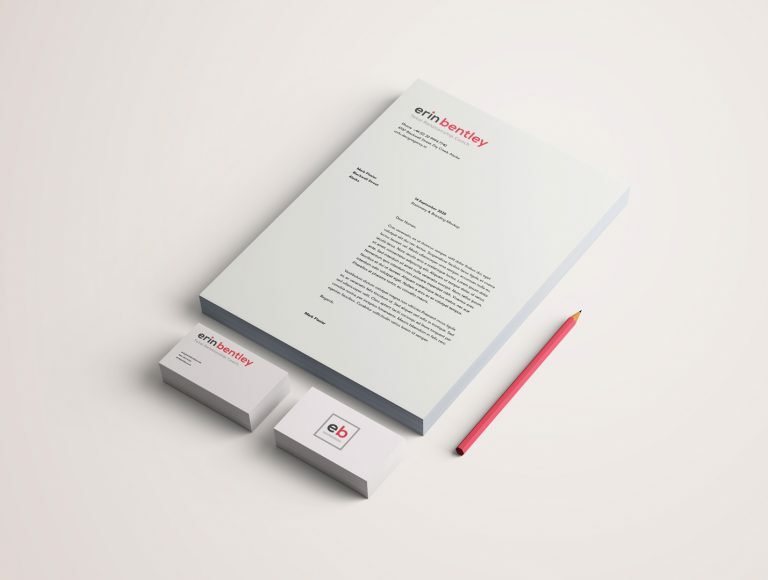 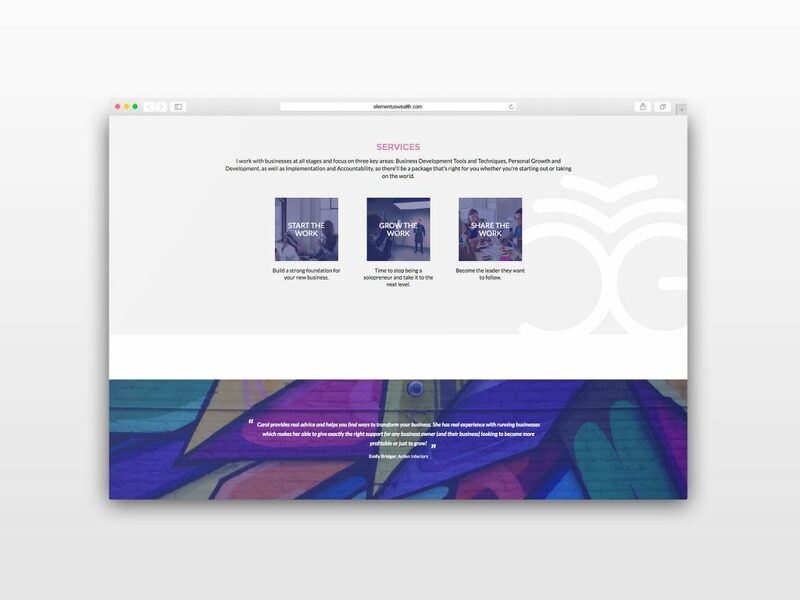 Aiming to appeal to a corporate market, our client required a brand identity that was modern and professional. 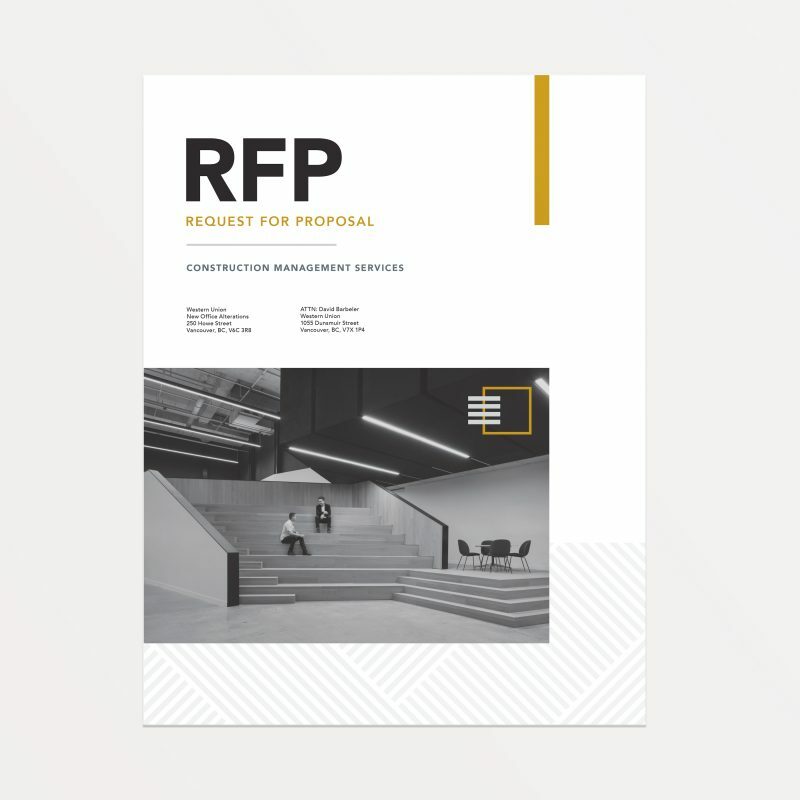 The challenge was to avoid a look that was too corporate and serious in nature, as the team is full of personality and warmth. 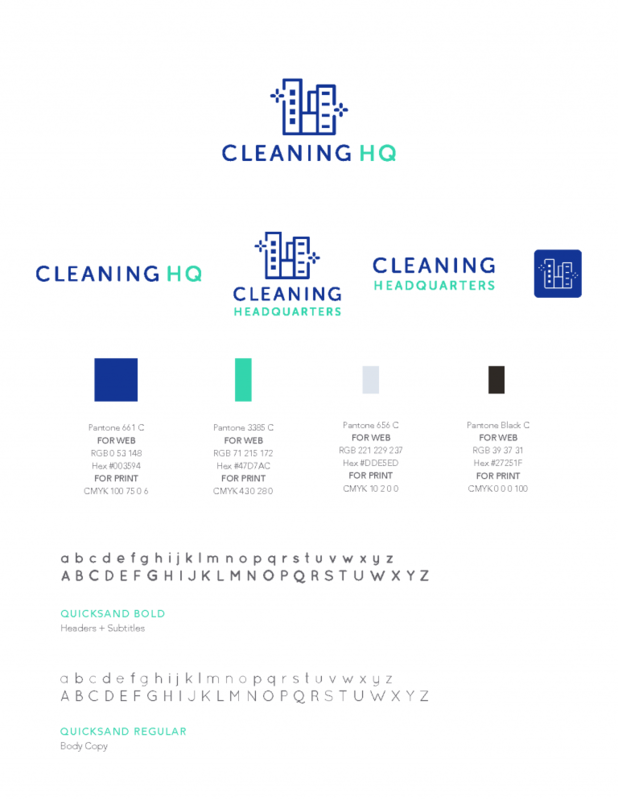 In our research and discovery process, we found that competitors within the cleaning industry have similar and inconsistent brand identities which lack originality and personality. 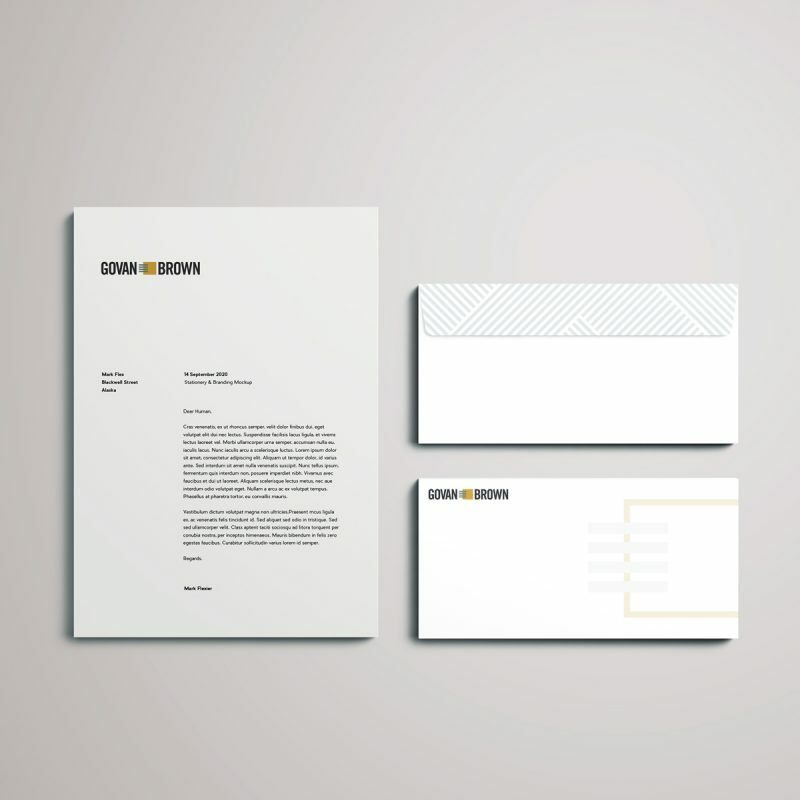 We saw an opportunity to create a holistic contemporary identity, which combines professionalism in its simplicity, and character in its unique composition and accents. 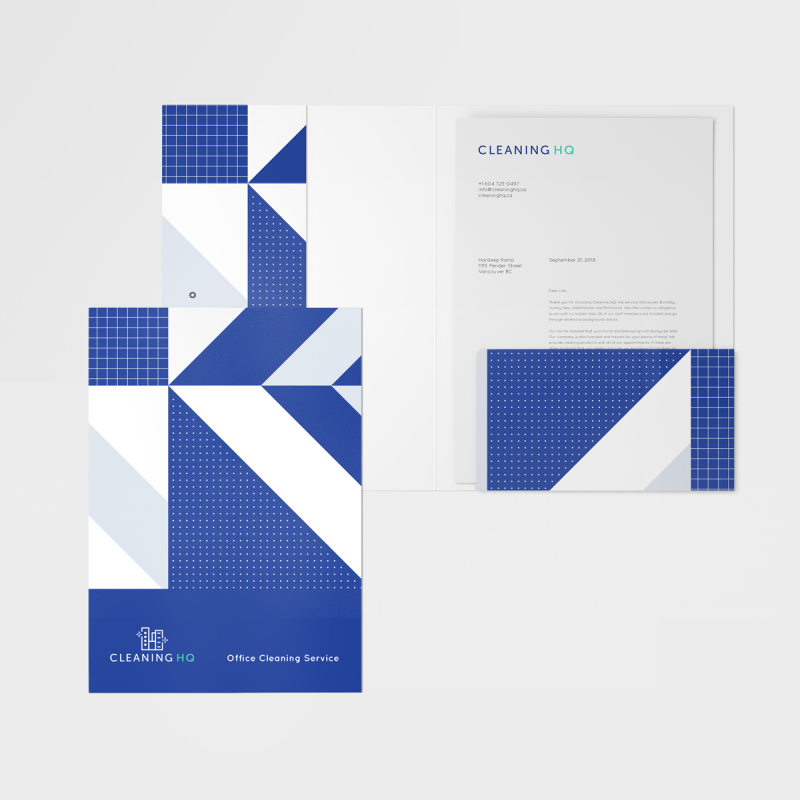 Over the course of 2 months, we worked with the company to design a new logo, launch a new website, and design a complete stationery and collateral set including postcards, door hangers and custom notepads outlining their signature cleaning checklist. 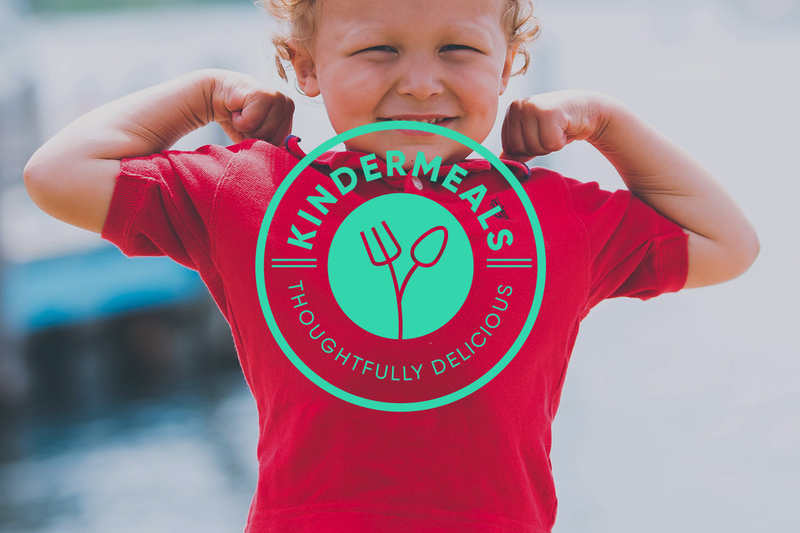 Kindermeals is a healthy and socially-conscious meal delivery and education program for children in schools. 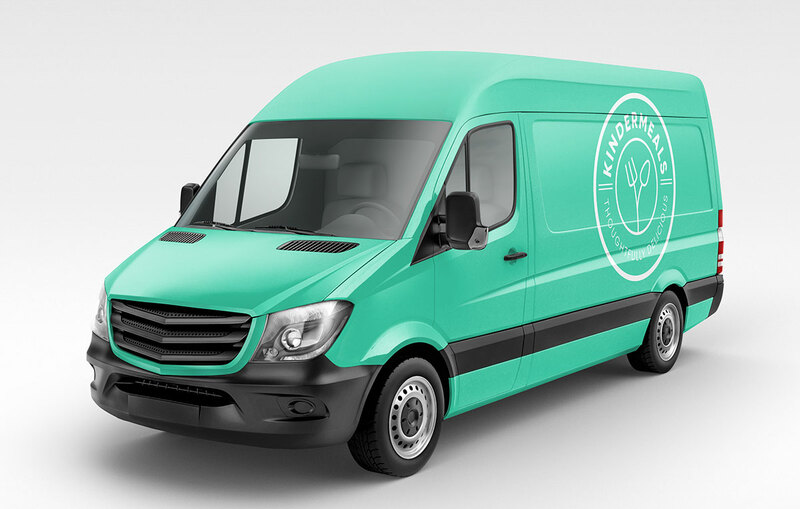 Founded in Vancouver, the team aims to improve the eating habits of Canadian children with hot lunch delivery to schools with plant-based, nutritious and filling meals at an affordable price point. 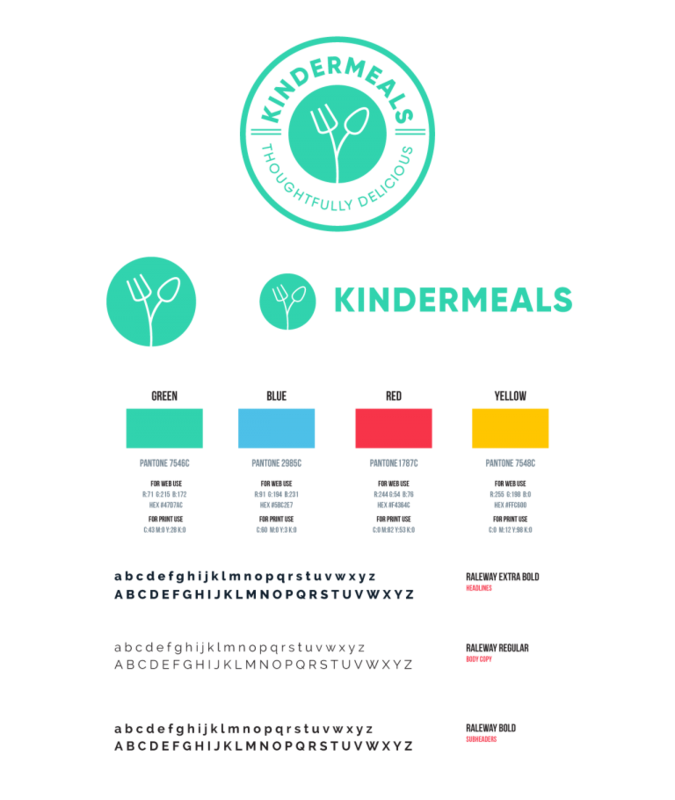 We worked with Kindermeals from brand conception to launch, starting with a naming strategy and defining the brand as kindness inside and out. 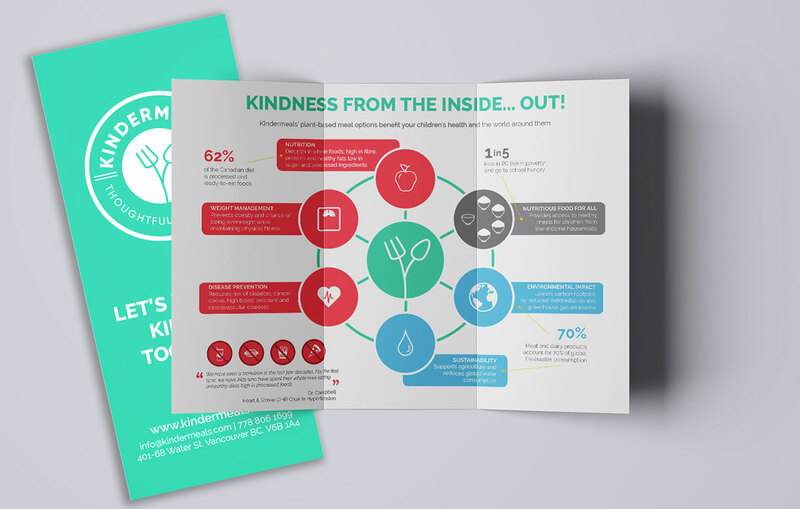 We developed key target markets and client personas, then designed the brand identity with a bold, modern logo appropriate for children as well as parents making meal decisions. 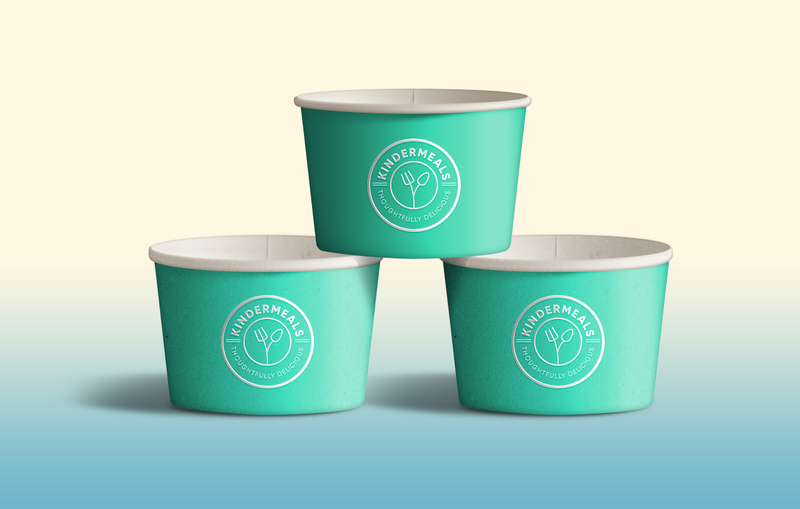 The result is a circular mark in a bright mint green, alluding to the plant-based nature of the meals, without using traditional environmental symbols and colour palettes. 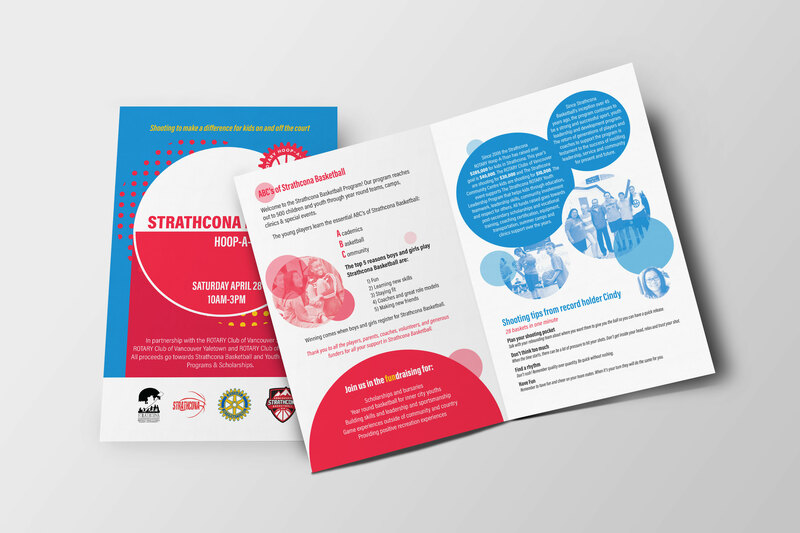 Our work has also included the consultation and design of marketing collateral for the company’s outreach to schools in the community. 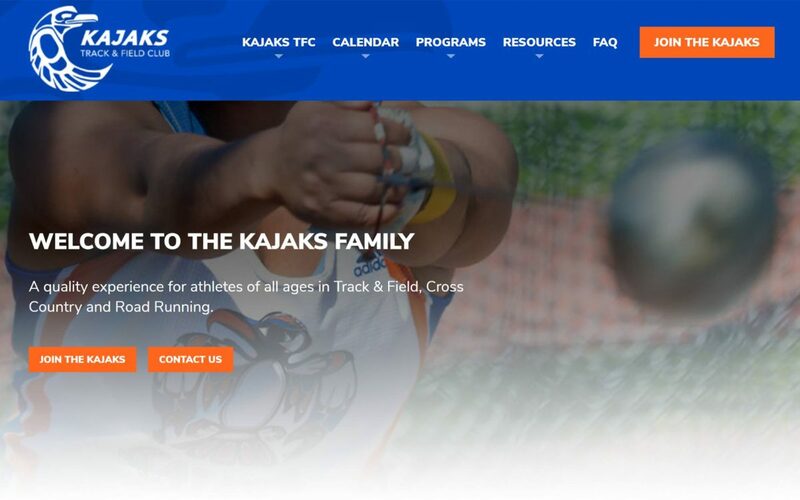 The Kajaks Track & Field Club is non-profit community athletics organization providing opportunities for athletes in the sport of Track & Field, Cross Country and Road Running. 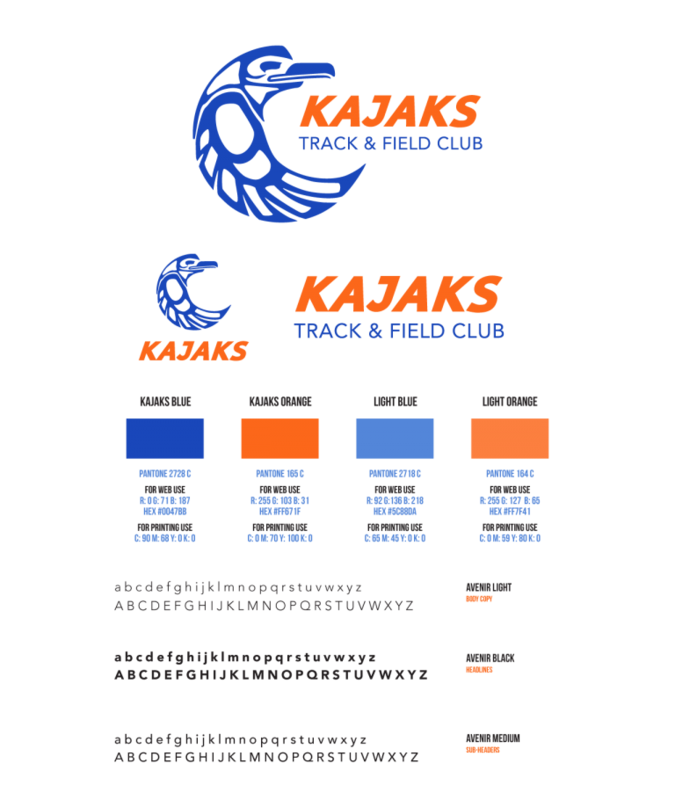 Since its inception in 1961, the club has gone through several iterations of their brand but never a comprehensive brand strategy. 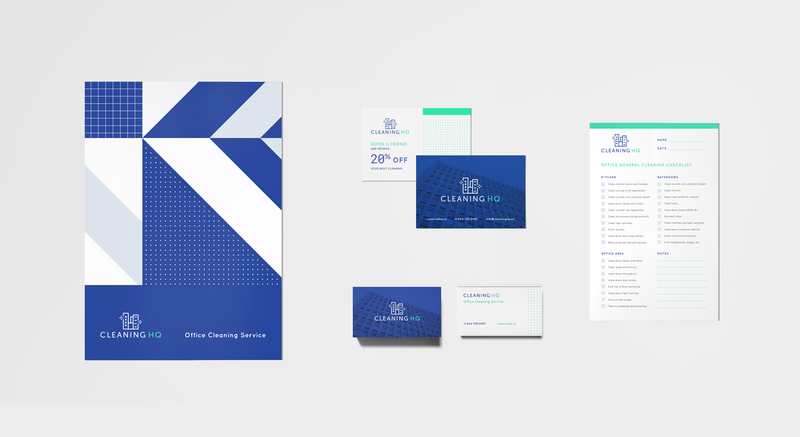 We created a logo and identity package, drawing on their important heritage and displaying the brand’s values of community, excellence and legacy. 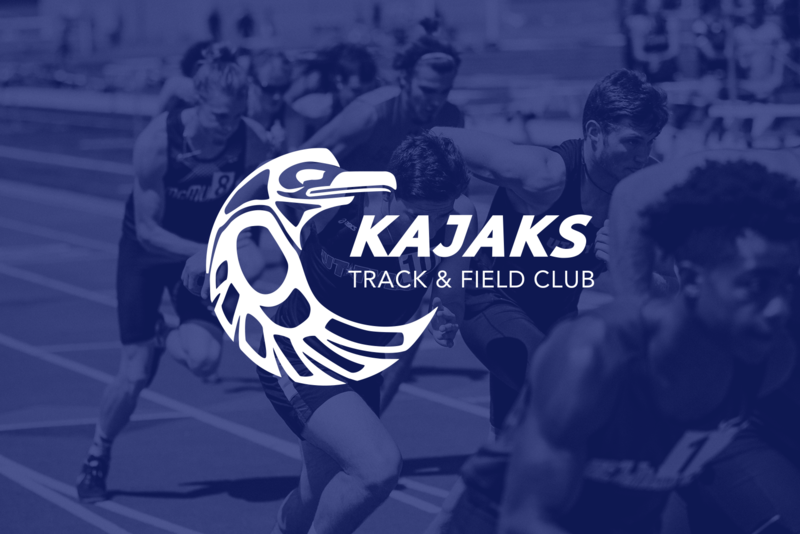 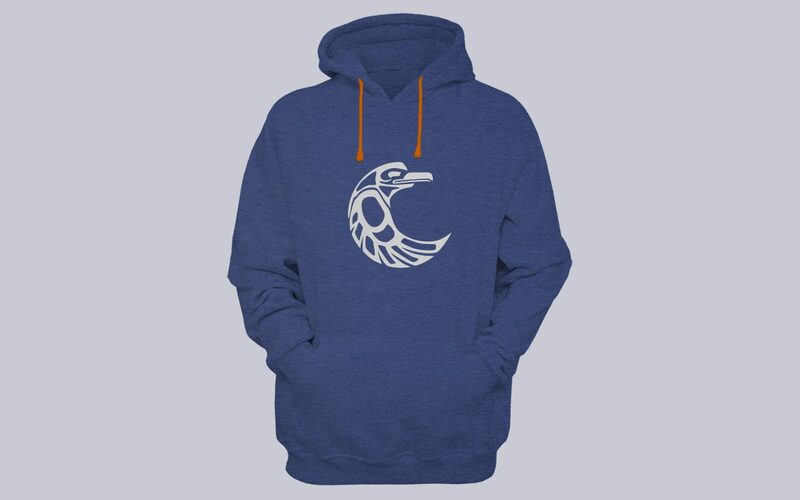 We kept the tradition of the Kajaks First Nations-inspired bird and blue and orange colour palette, but updated the identity with a modern interpretation inspiring athleticism, quality and fun for all ages. 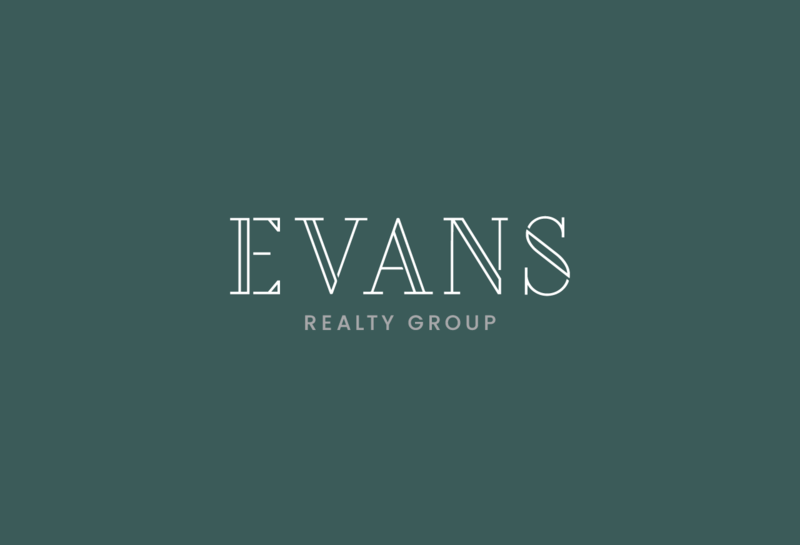 Evans Realty Group is a real estate firm founded by Debbie Evans, a licensed Realtor with a background in interior design and construction. 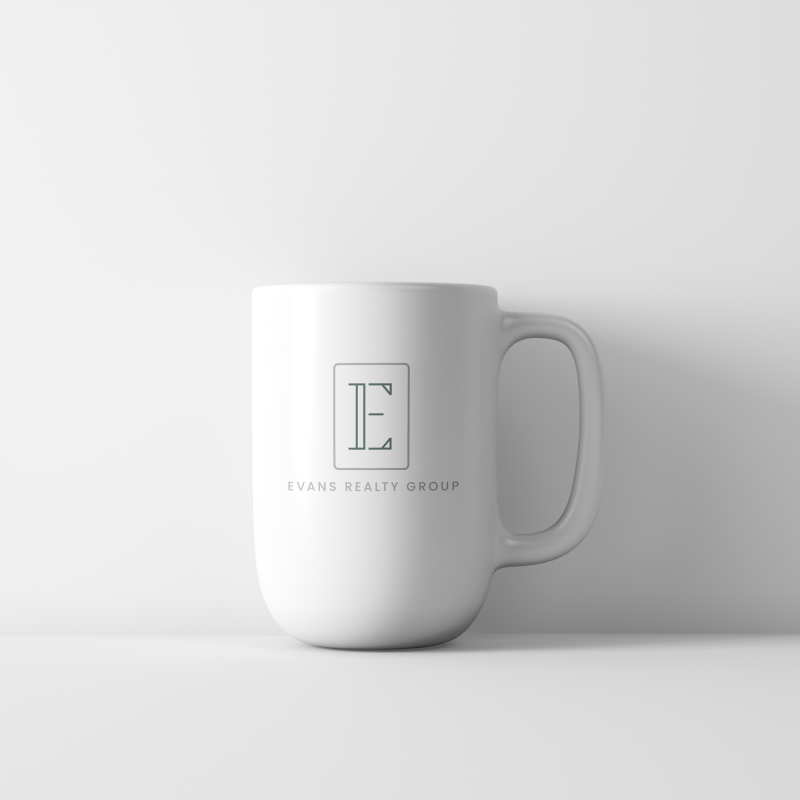 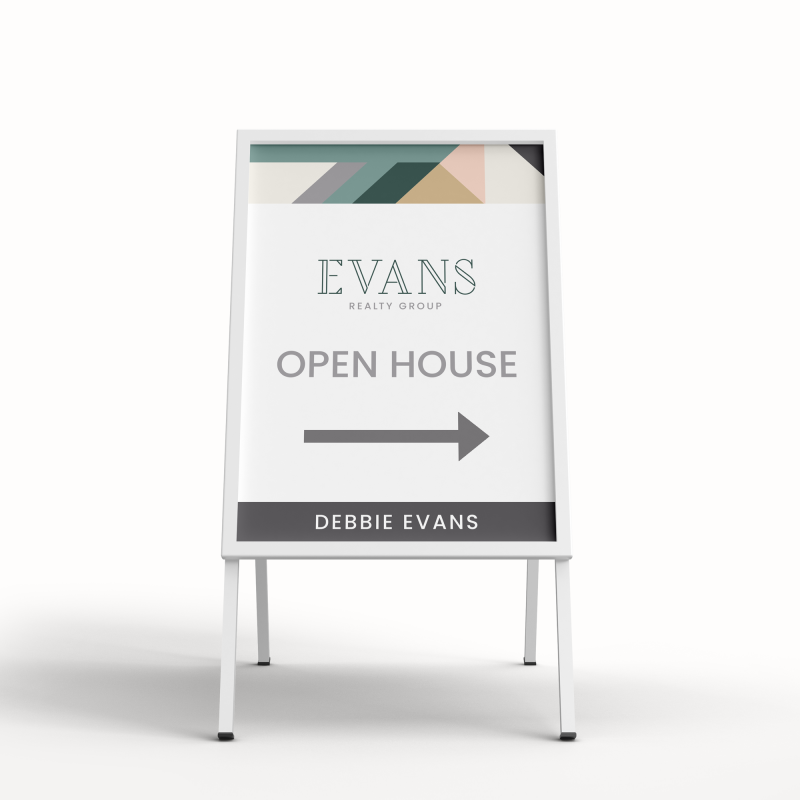 Evans Realty Group (under Royal LePage Sussex) will provide real estate services for buyers and sellers with an emphasis on trust, integrity and good service that puts clients first. 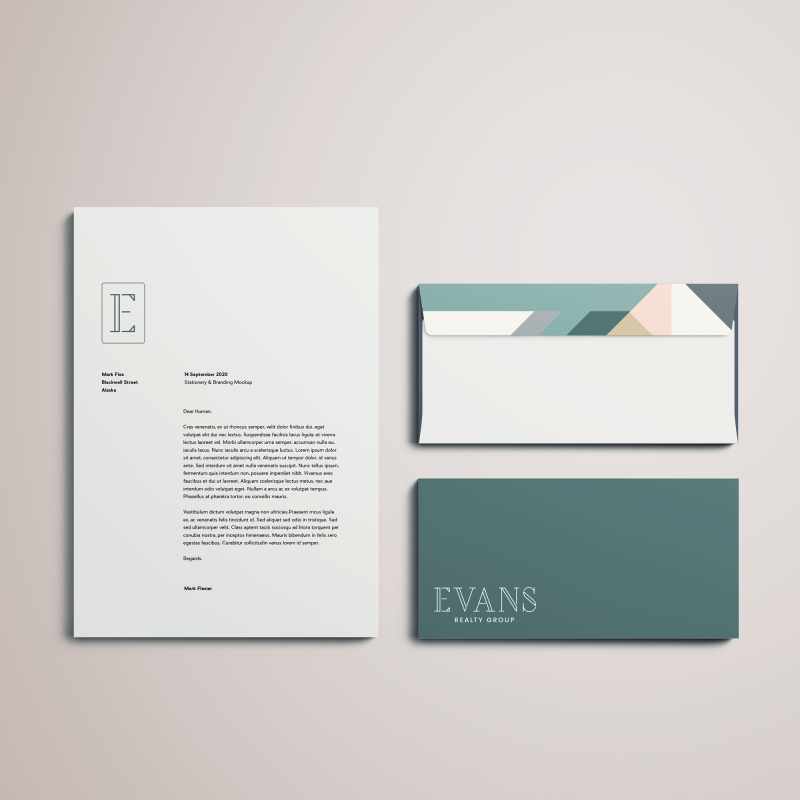 An elegant custom typeface, earthy colour palette and textile-inspired pattern make up this sophisticated identity. 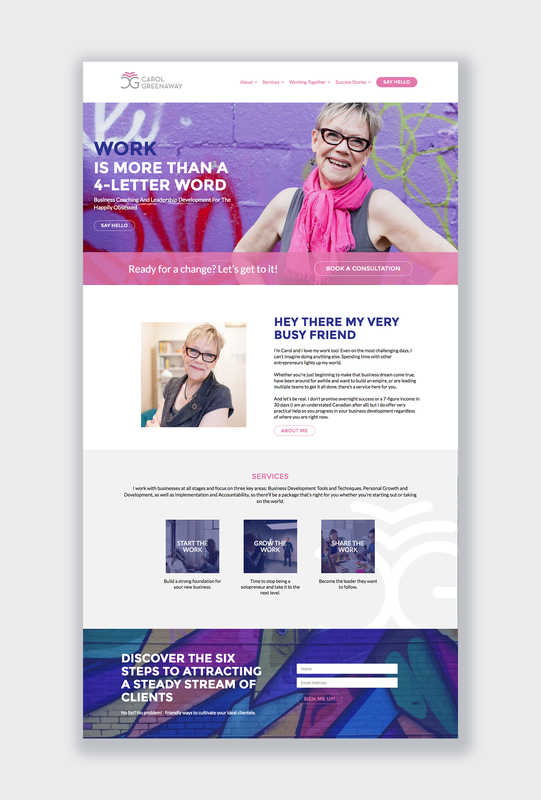 Carol Greenaway is a business coach based in Vancouver who works with entrepreneurs who love what they do. 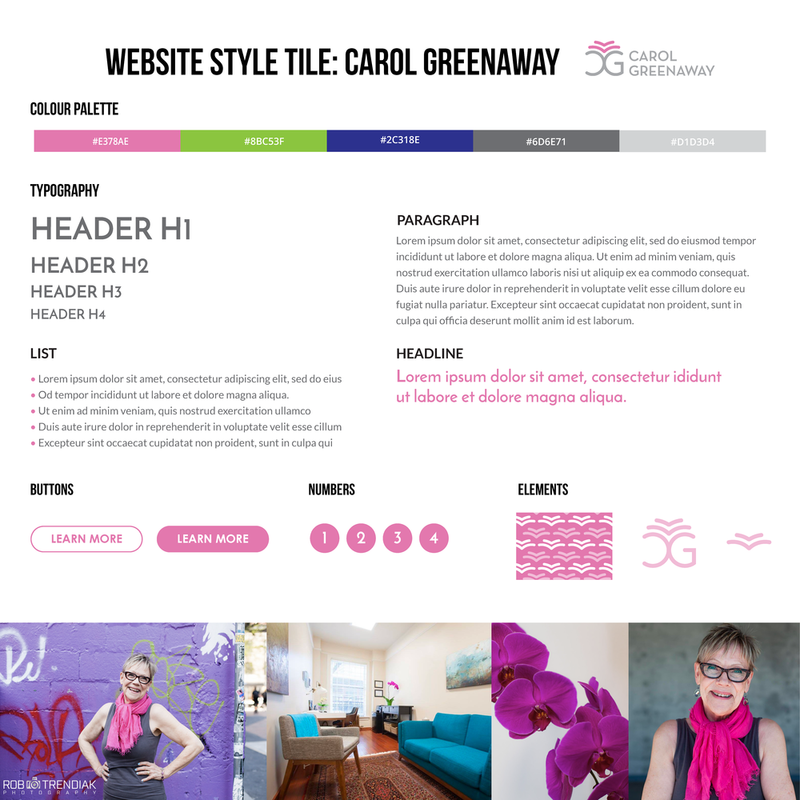 While Carol has a big personality and undeniable enthusiasm for her work, her previous website was grey and lifeless and did not accurately portray who she is or her approach to work. 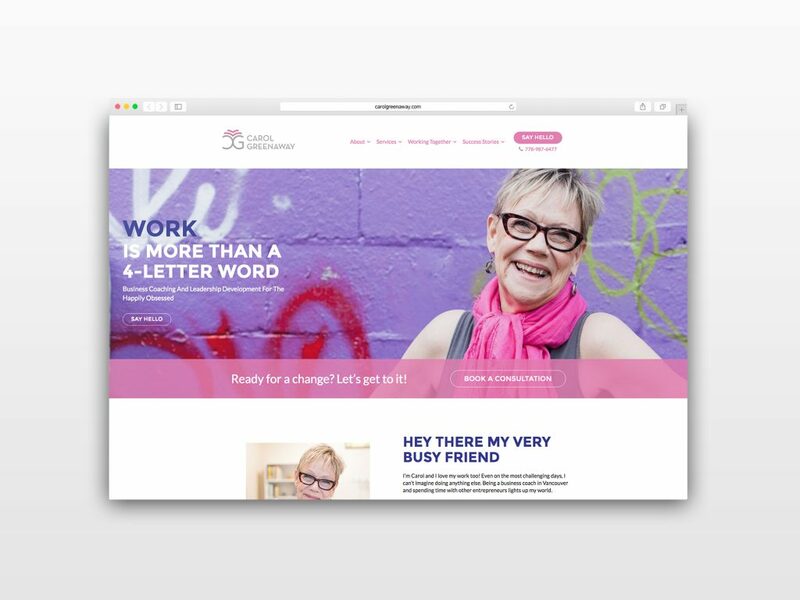 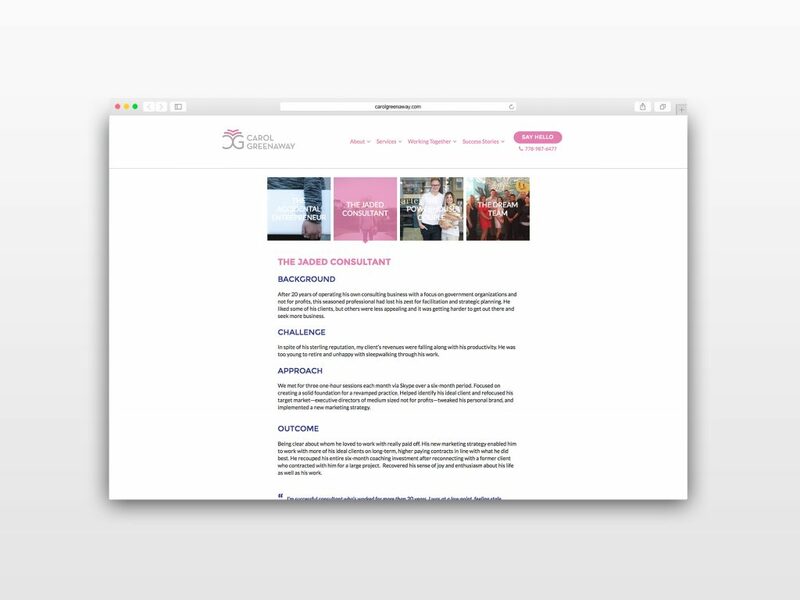 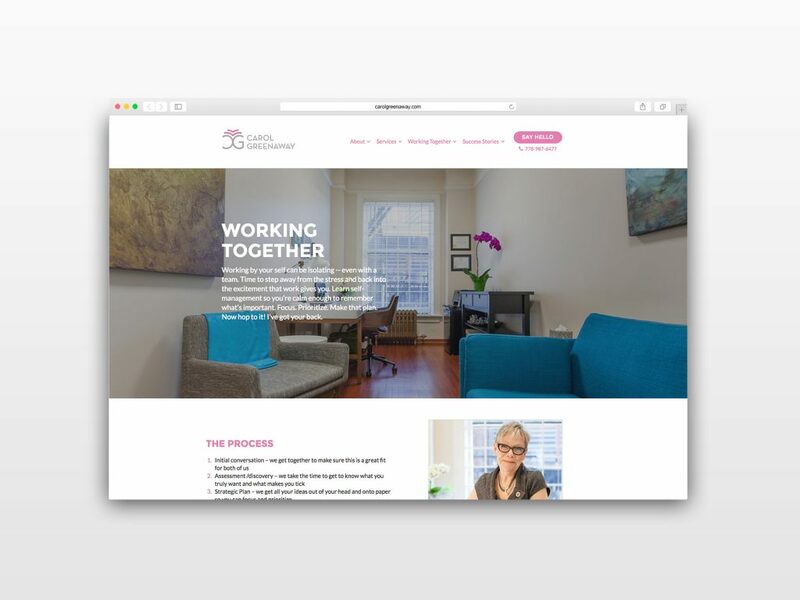 In this custom website design, we created a strategy and new website to showcase Carol’s energy, aptitude for growing businesses, and warm, supportive approach. 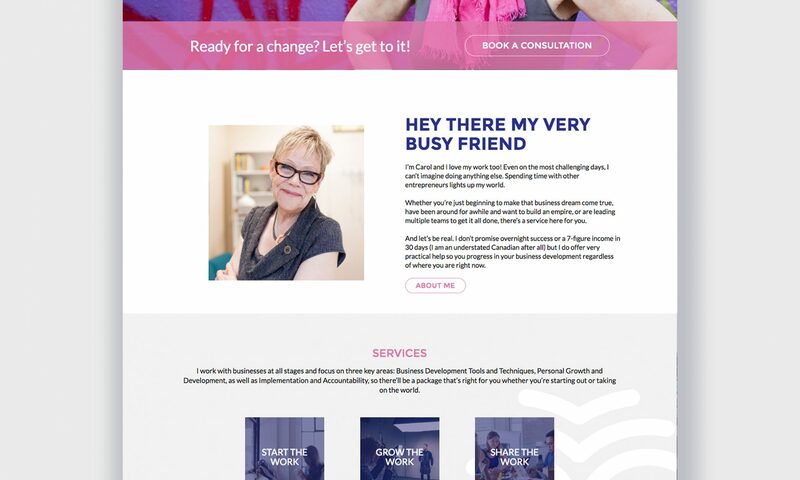 Bright, full-width photos are paired with quirky copy, and a custom Case Studies section displays success stories from happy clients. 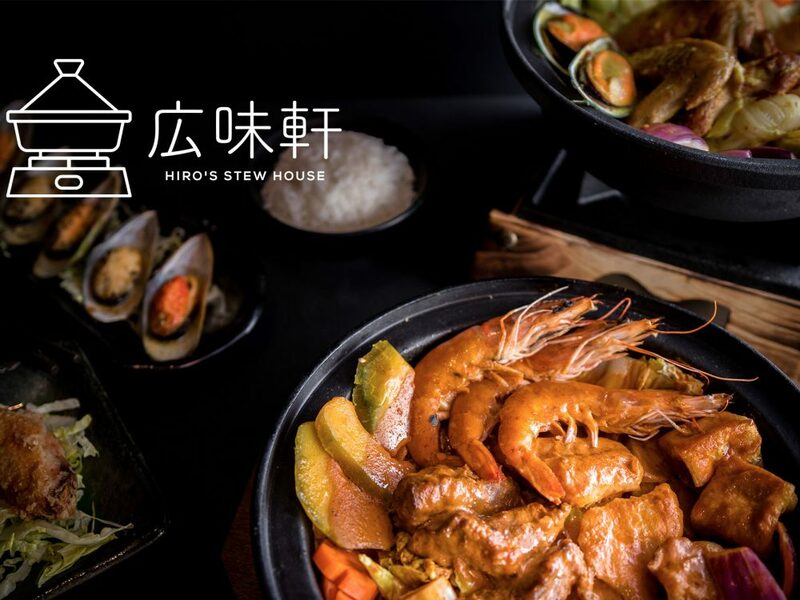 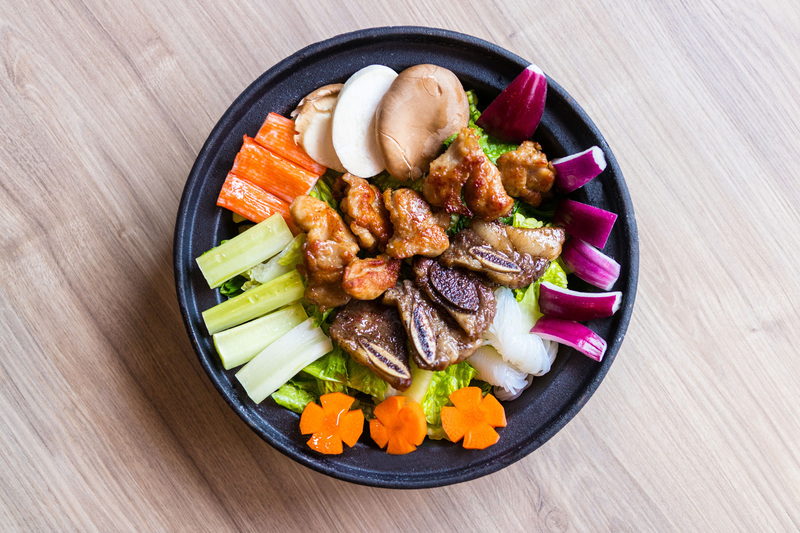 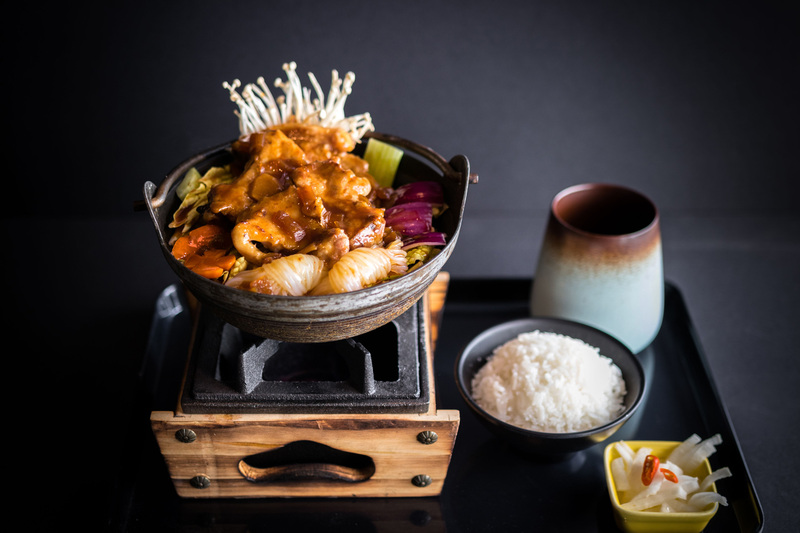 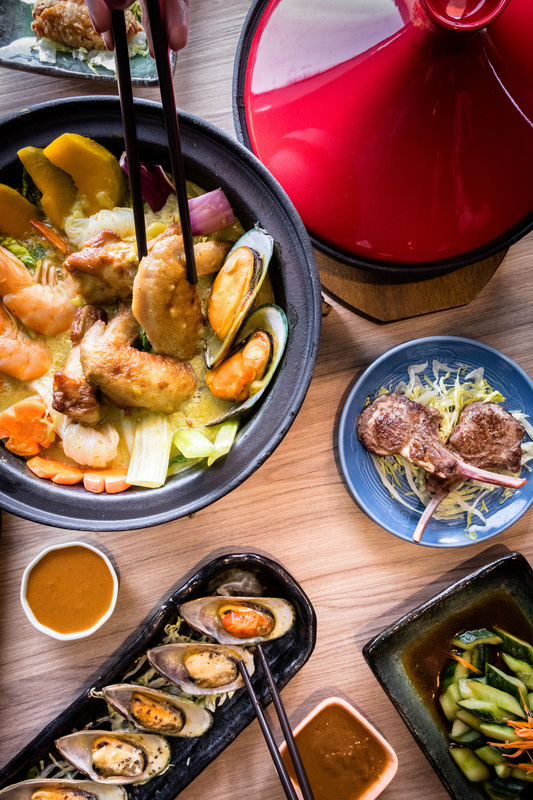 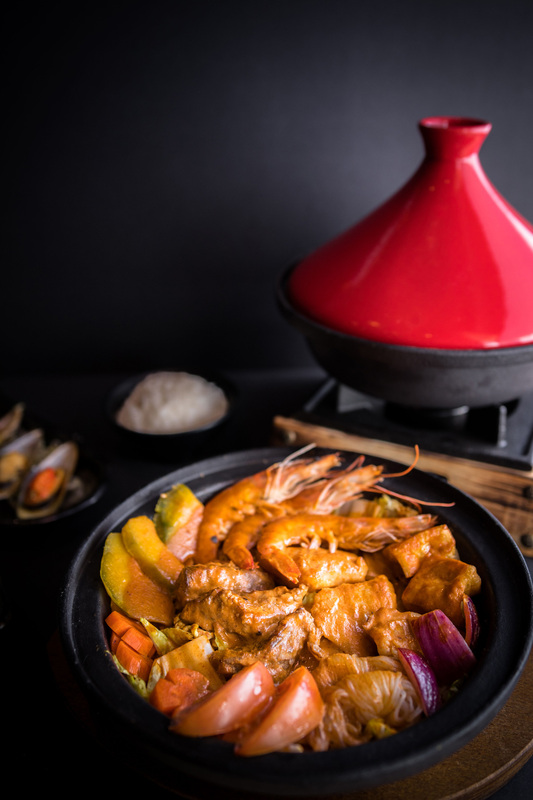 Hiro’s Stew House is a casual fast food restaurant concept in Richmond, BC offering Canton style flavours at an affordable price point to the popular Union Square neighbourhood. 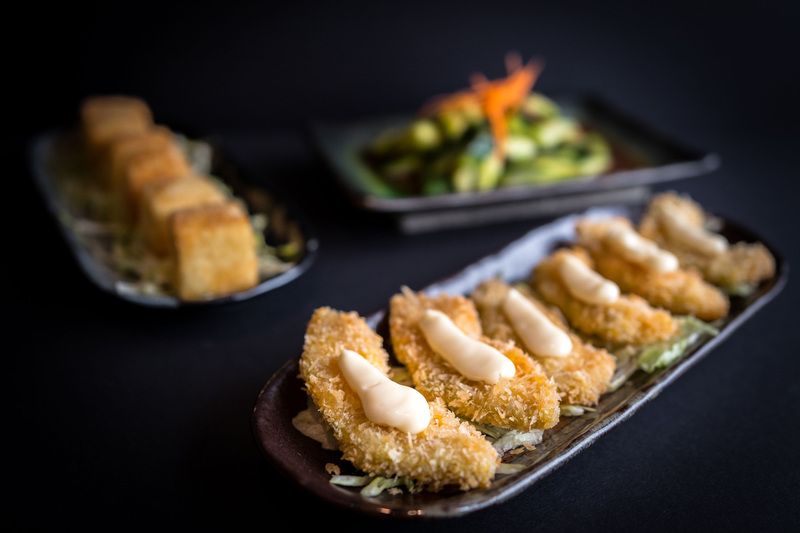 The restaurant is intimate, comfortable, and a casual space to spend time with friends and family. 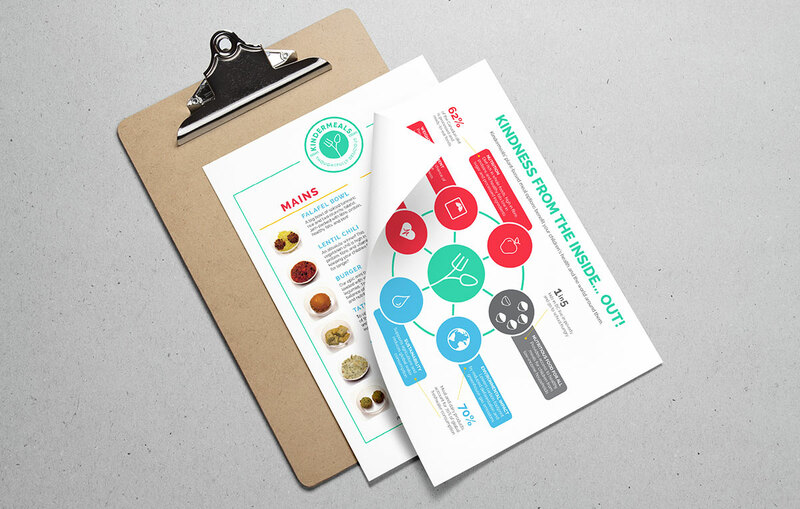 We developed a brand concept based on 3 components: quality food, a fun environment, and social sharing. 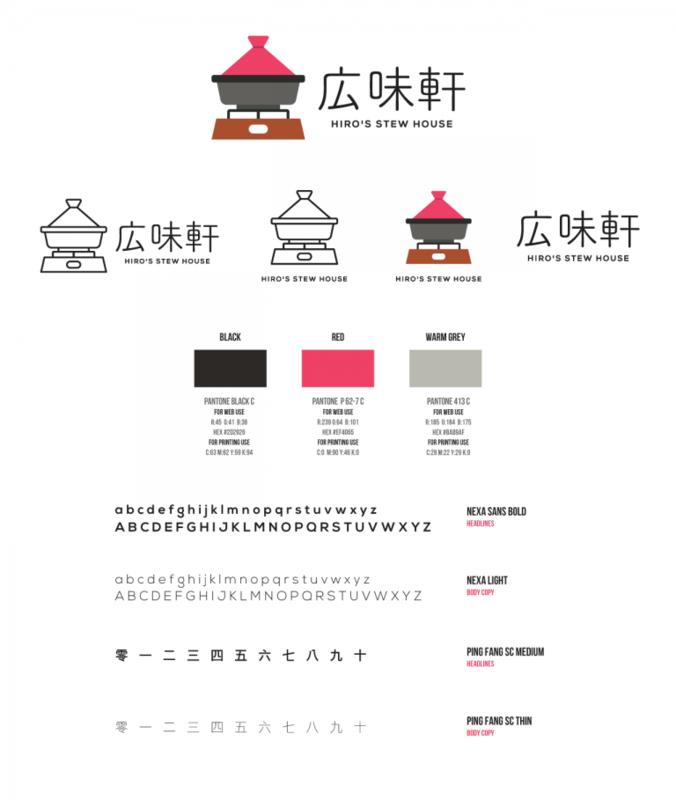 We were asked to develop a bilingual identity putting a modern spin on simplified Chinese characters. 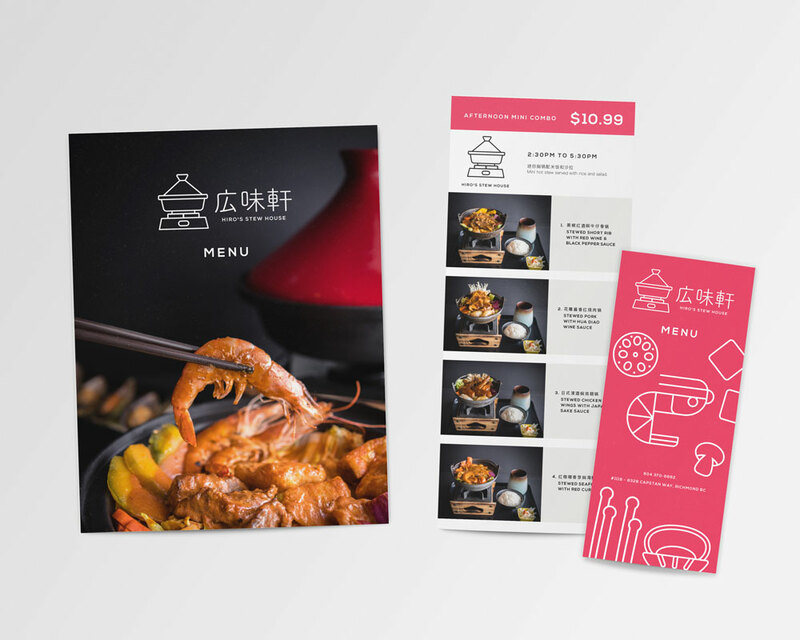 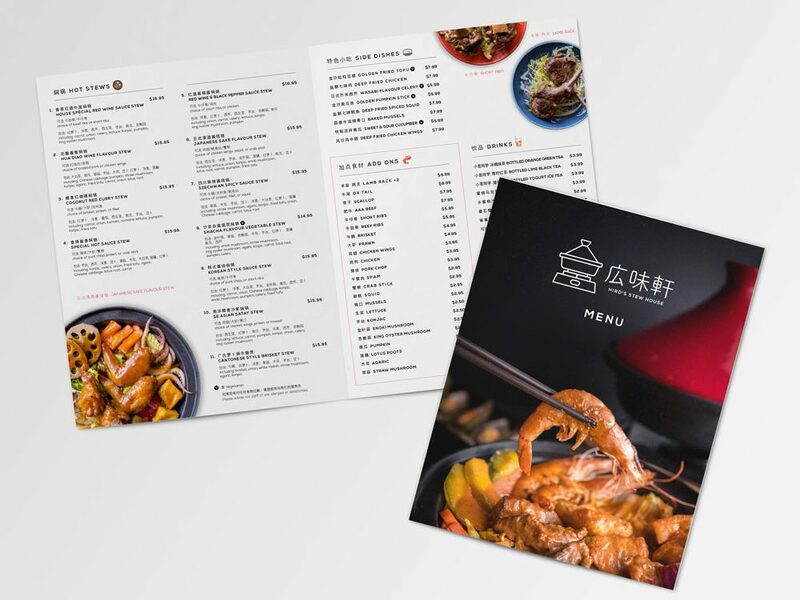 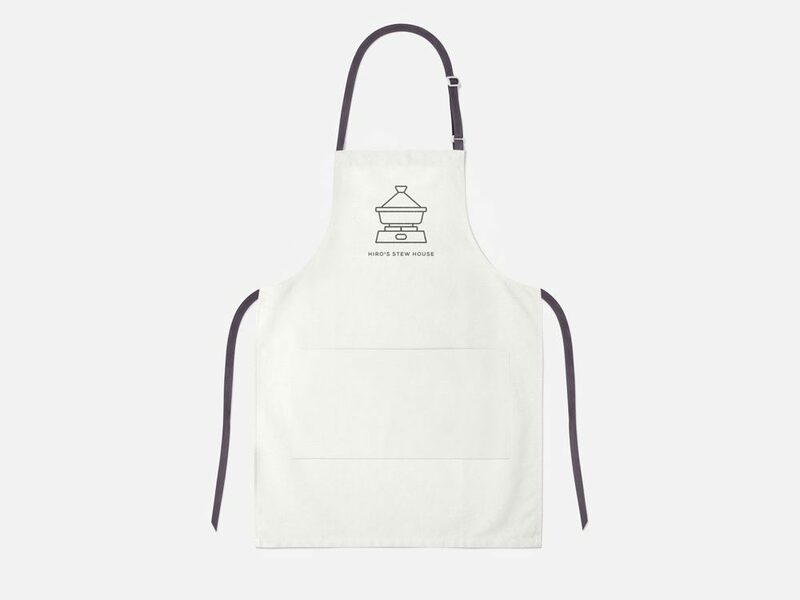 The primary logo design is comprised of a custom typeface paired with a whimsical illustration to reflect the restaurant’s signature red hot pots. 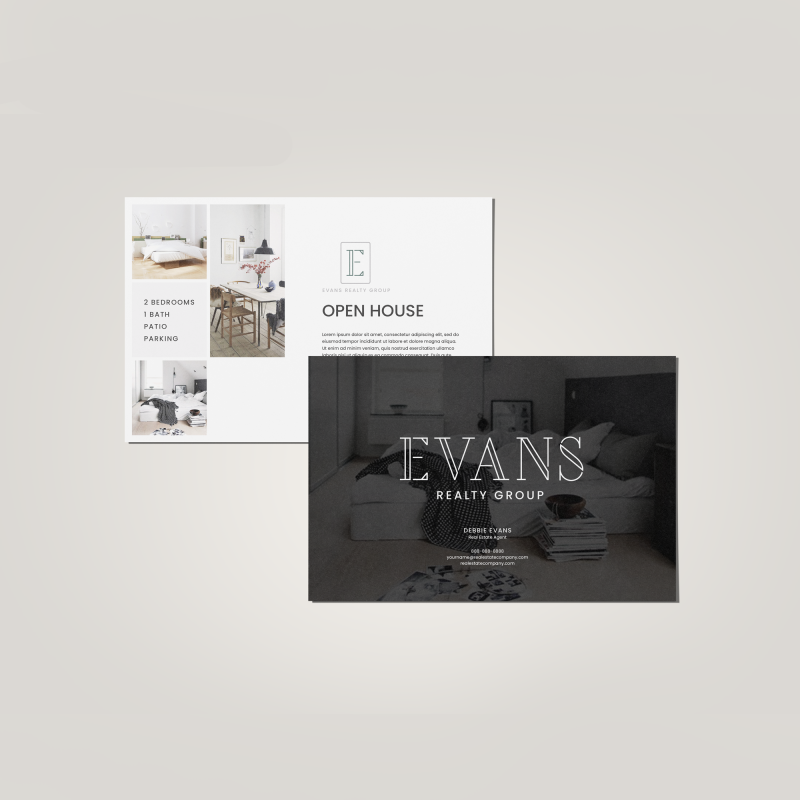 The identity was applied to web, the physical storefront, print collateral and advertising. 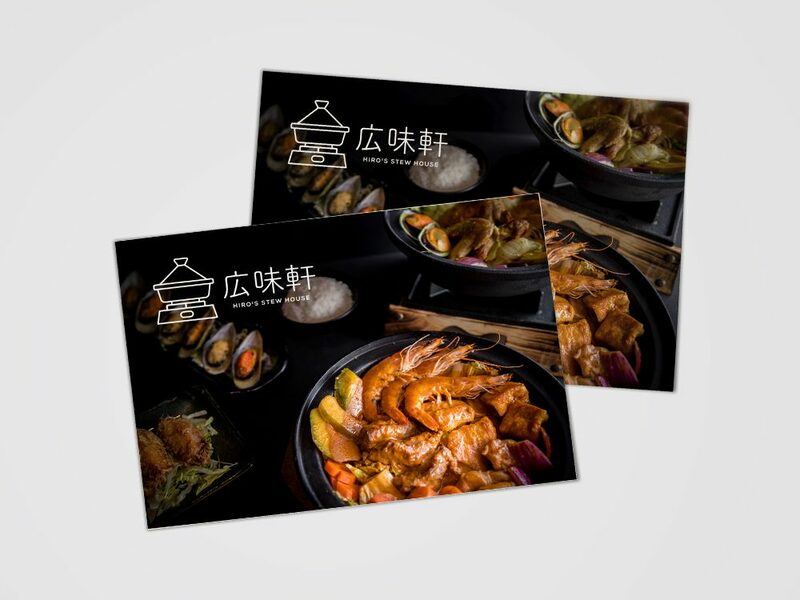 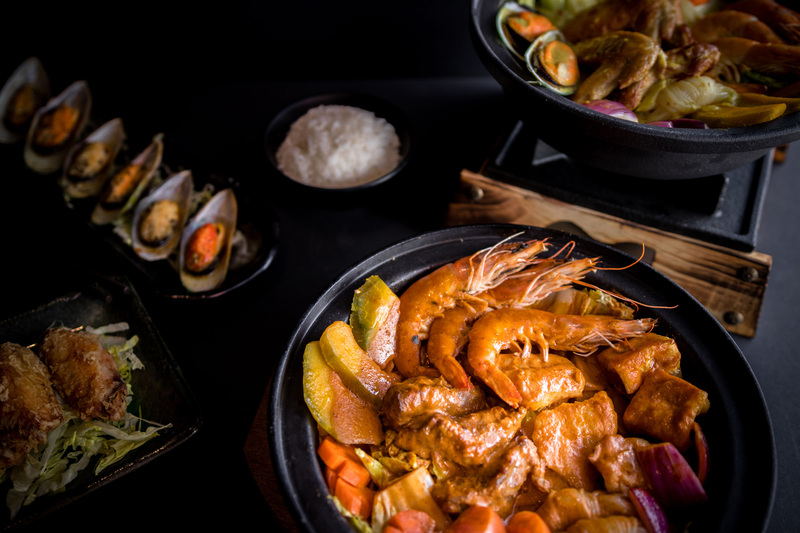 In addition, we also supported the company in brand and food photography, providing art direction, styling and photography for all of their dishes.